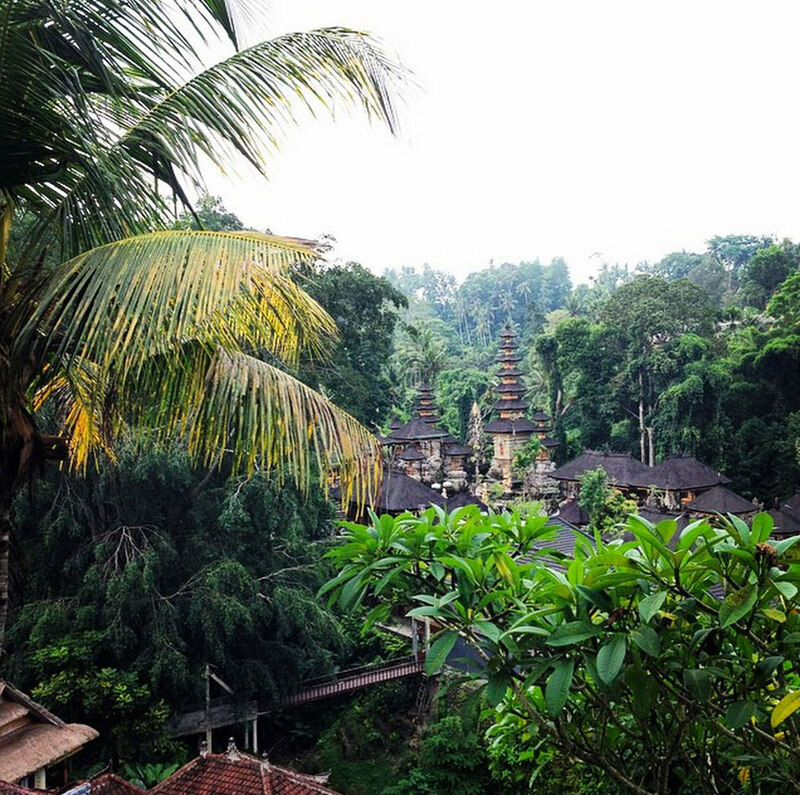 You know Ubud is the creative heart of Bali – it’s bustling, busy and unbelievably beautiful. 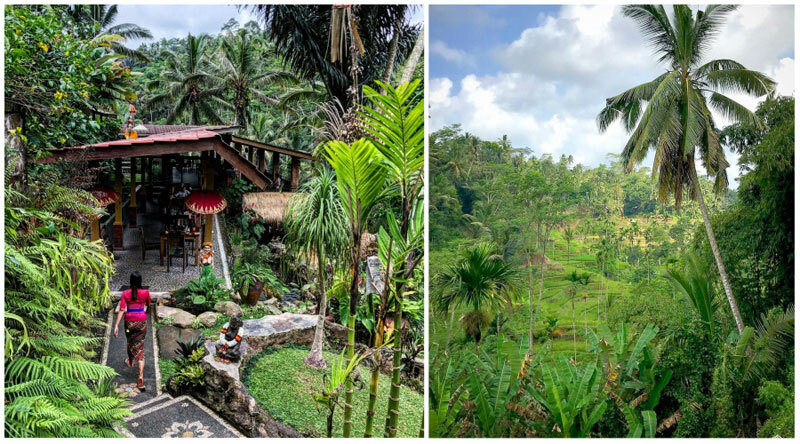 And while people might visit for the unique and vibrant local art, the scenery at Ubud is just as amazing as any masterpiece. 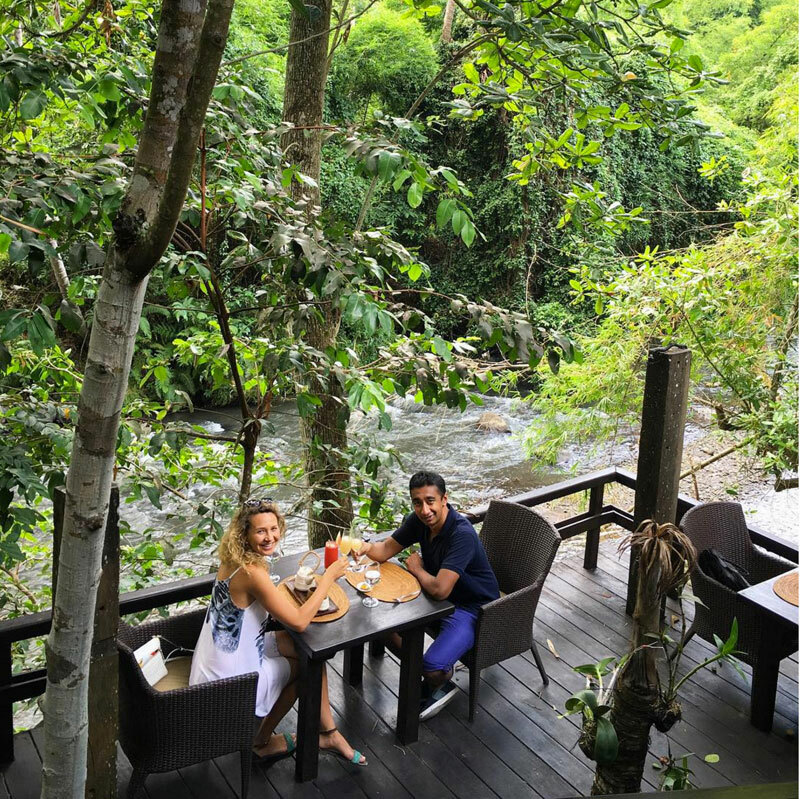 Why bother to take a sightseeing tour when you can enjoy the amazing scenery over a leisurely lunch or a romantic dinner? 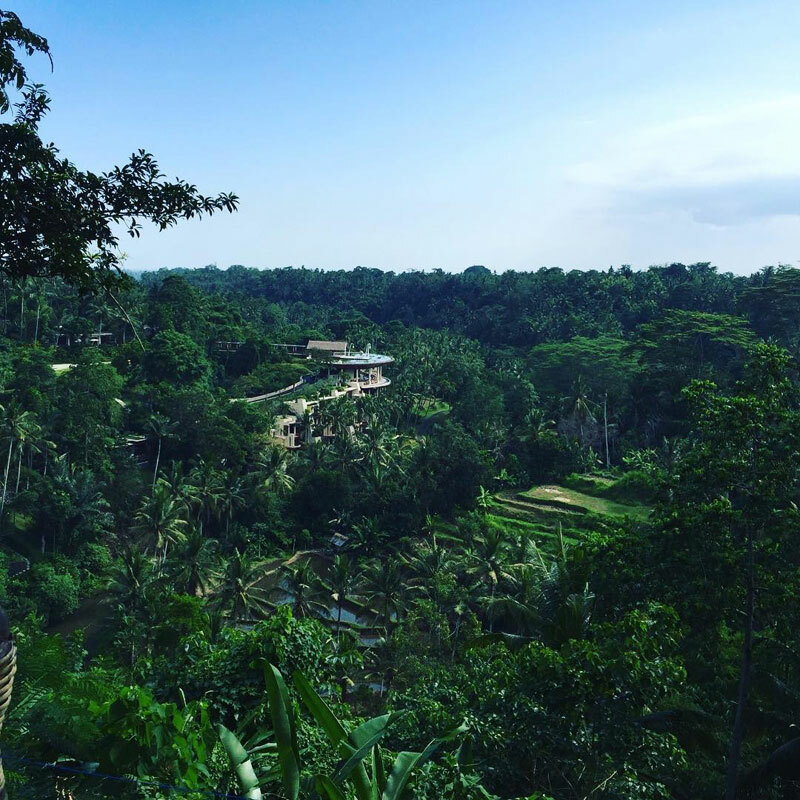 Ubud has it all – jungle, valleys, waterfalls and paddy fields. 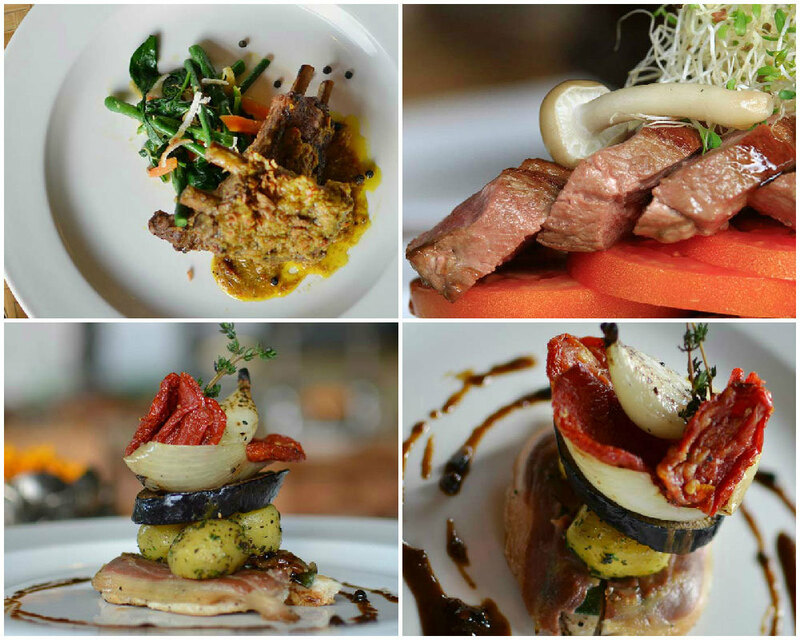 Fortunately it isn’t just a feast for your eyes – the food is equally divine! 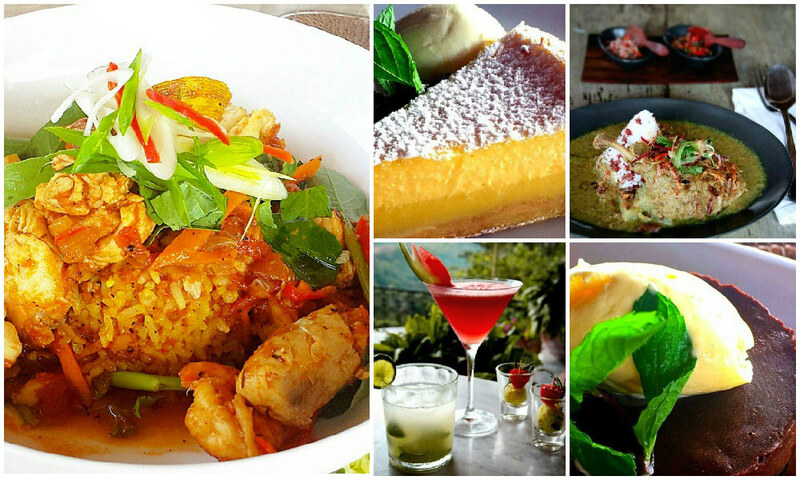 Want to know more about the best restaurants in Bali with the ultimate views? 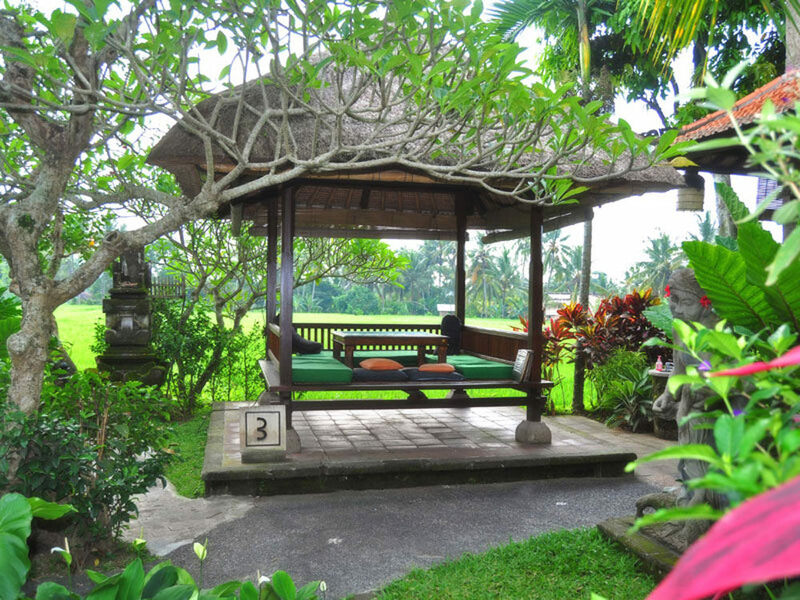 Sit back and enjoy some local delicacies whilst taking in the exotic sights and sounds that surround you. 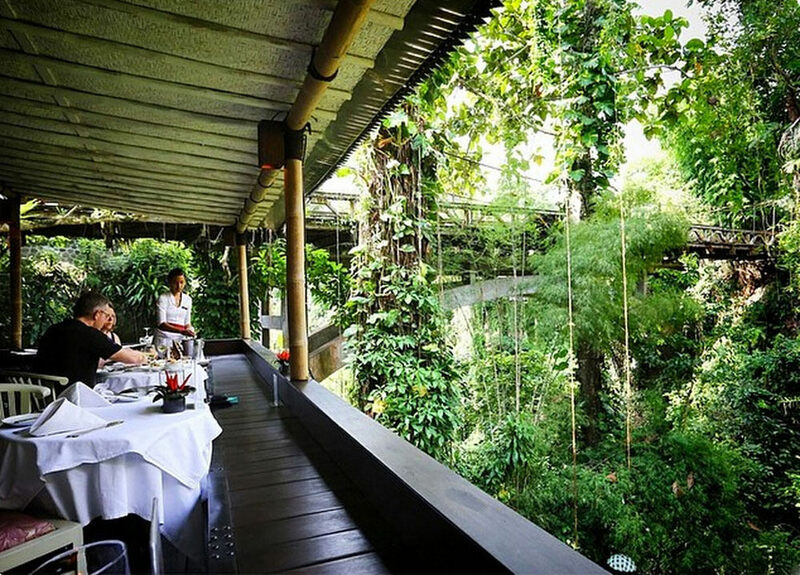 These are the dining experiences that you, and your photo album, will remember forever! Tired of beaches? Looking for more soothing views while you press the pause button on the partying? 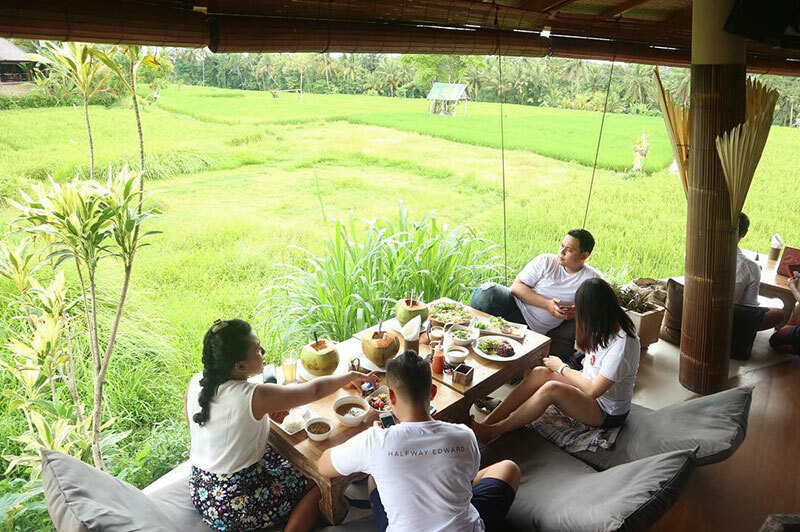 Stop by the delightful Boni Restaurant while you plan your trip to the Tegallalang rice terraces and find your very own ‘Eat. Pray. Love’ moment! 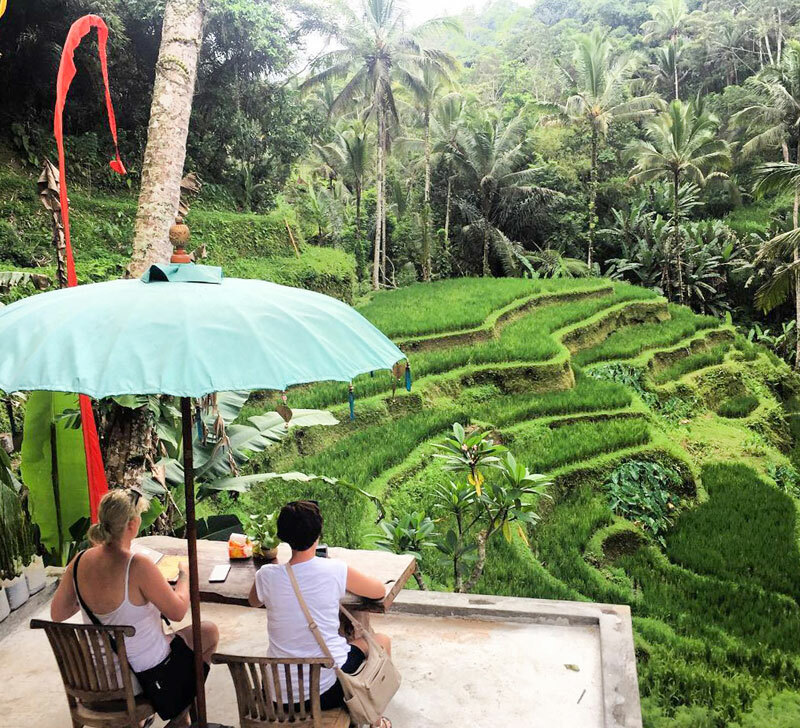 Every Bali trip is incomplete without a visit to the emerald green rice terraces, and at Boni Restaurant you are guaranteed the seats with the best views. 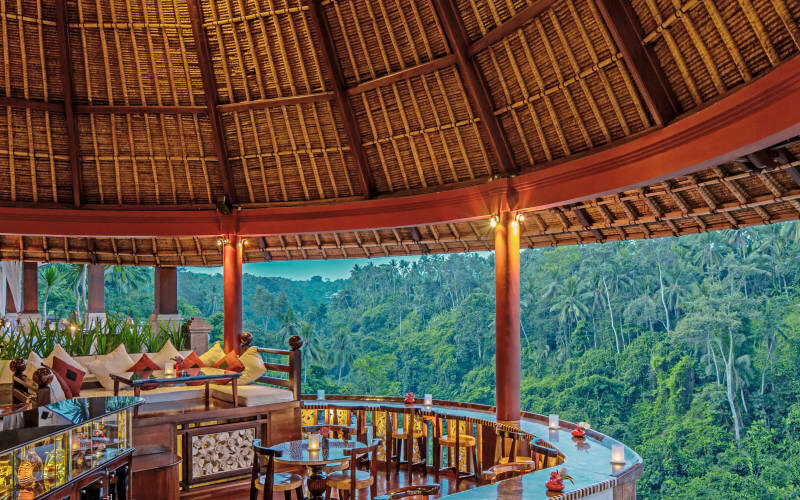 Be spoilt for choice at the glitzy Mandapa, Ritz Carlton’s answer to Ubud. 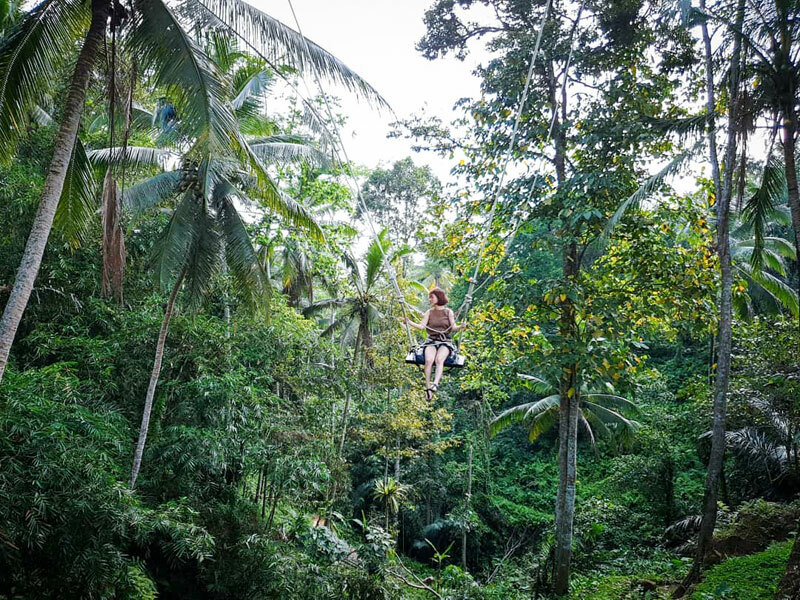 Whether you’re a lover of soothing water scenes like the Ayung River, or adore fresh vibrant views of paddy fields and forest – Mandapa has them both. 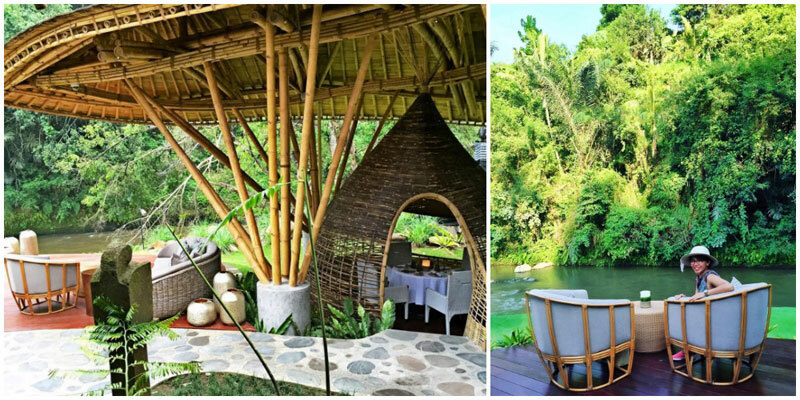 Introducing Kubu, Mandapa’s signature bamboo restaurant that not only provides intimate dining with 9 private cocoons – but soothing views of the Ayung River too. This luxurious restaurant makes the list of one of the best restaurants to be, thanks to its incredible ambiance and delicacies available. Here, you’ll get to enjoy Mediterranean-European cuisine, with the melody of flowing water and a cooling tropical breeze. 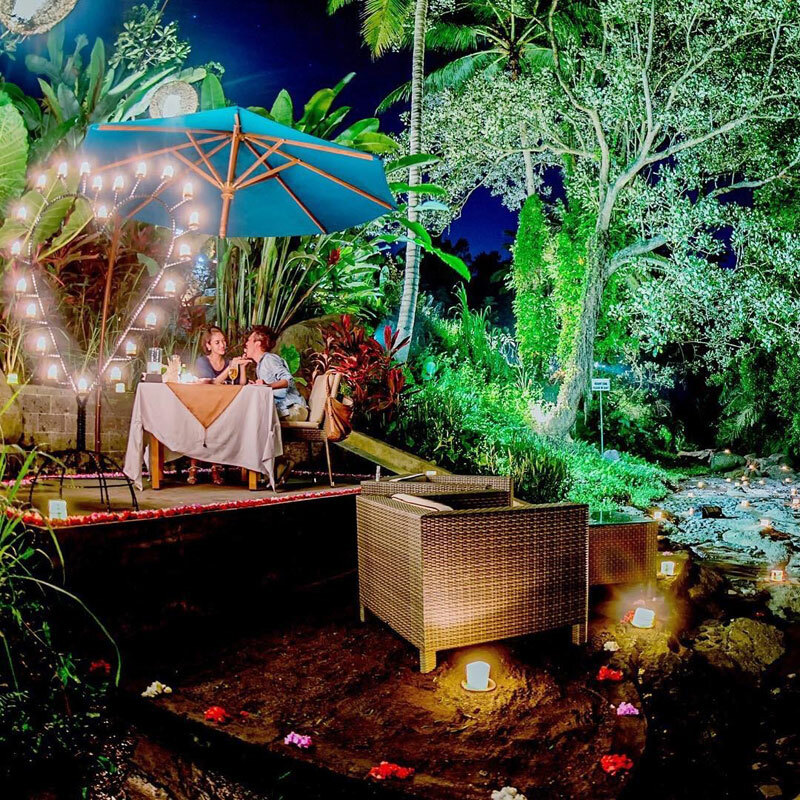 Only dinner is served here, so you’ll be sure to enjoy a dreamy night – perfect for the romantic date you’ve been waiting for. 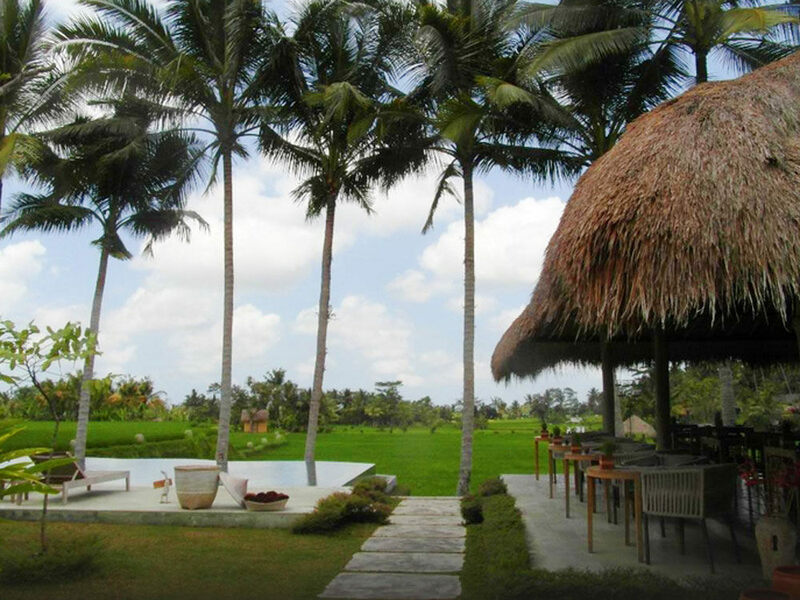 If not, Sawah Terrace provides similarly gorgeous views showing off Ubud’s verdant paddy fields and forest. 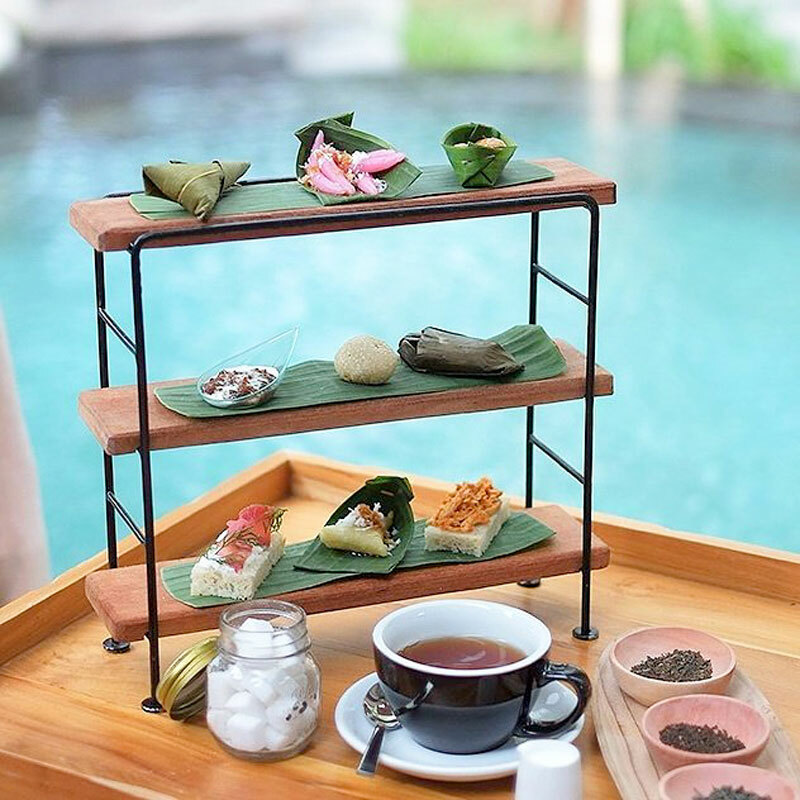 More for those looking to dig into Balinese cuisine and other Asian favourites, along with organic farm-to-table healthy offerings – feel free to head over for breakfast, lunch or dinner. 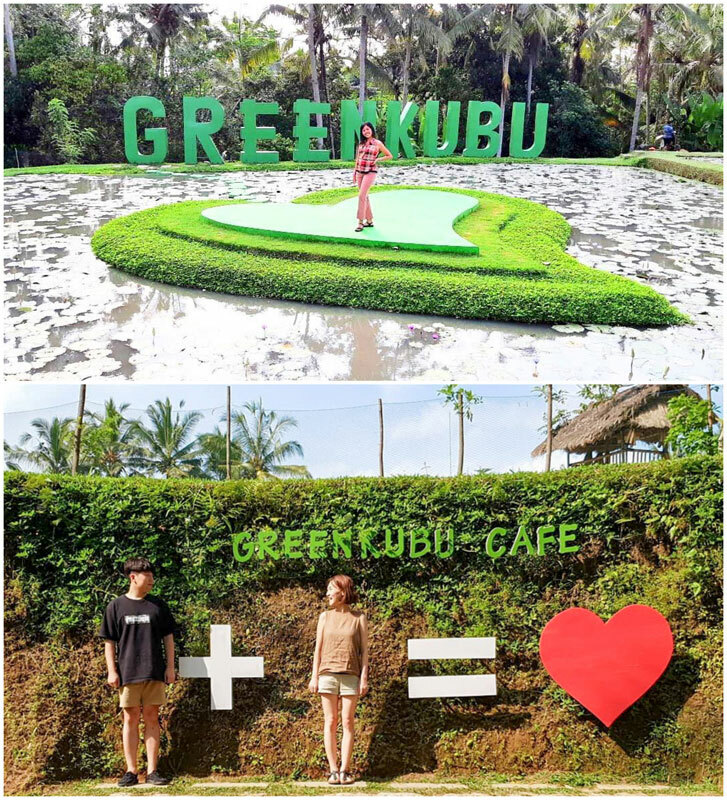 This all-day-dining restaurant will satisfy you at every meal, and keep your senses feeling fresh with vibrant green views. Fun fact: Looking at green colours is a great way to soothe any tired eyes! 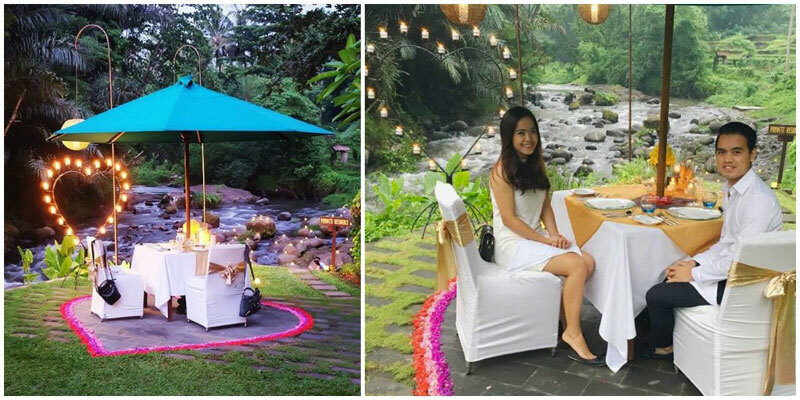 This quaint little restaurant overlooking the Ayung River is a popular spot for private receptions, and we can really see why. On a day when you’re supposed to feel like you’re on top of the world, what could be better than literally being on top of the world? 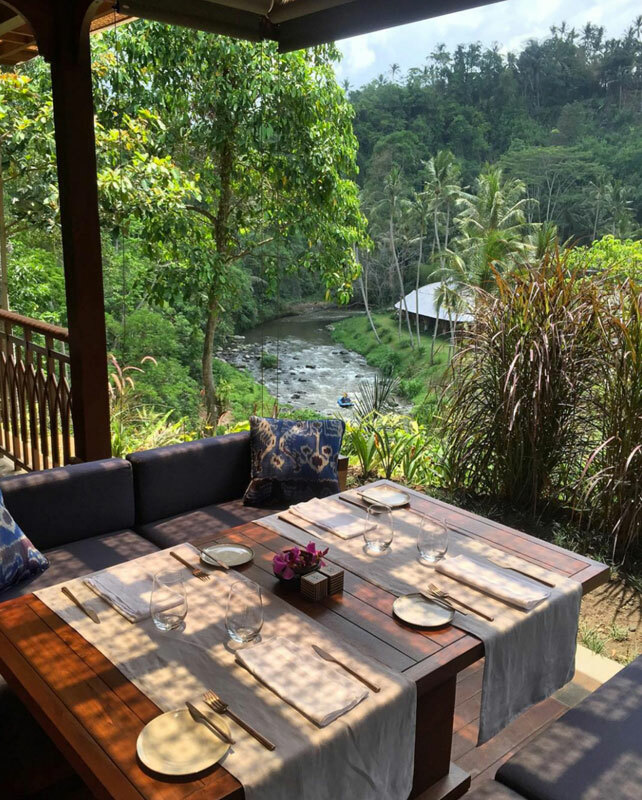 The Sayan House will speak to the nature lover in you, with its signature view of forests, rice fields and the rushing waters of the sacred Ayung River below. Enjoy a romantic dinner with your loved one while watching the sun set over the valley, or hang some fairy lights on the trees and watch the place come alive as a fairytale wedding setting. 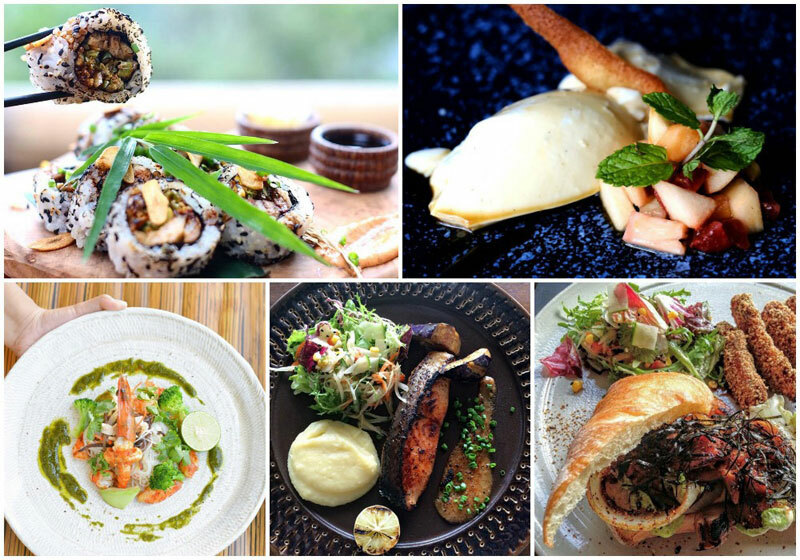 Better yet, The Sayan House has some pretty amazing contemporary and unique Asian dishes up for grabs. Try out their Crispy King Prawn & Avocado Maki, and the Salmon Carpaccio too! There are also fusion dishes like Babi Guling Sushi – if you’re fond of trying out new things, you won’t be disappointed. 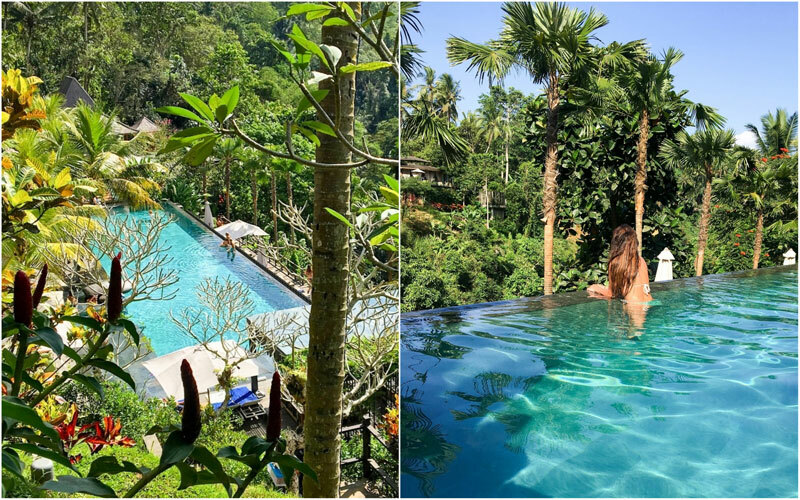 Be prepared to be stunned by the amazing views of the jungle while you take a swim in a clear turquoise infinity pool, right on its edge. 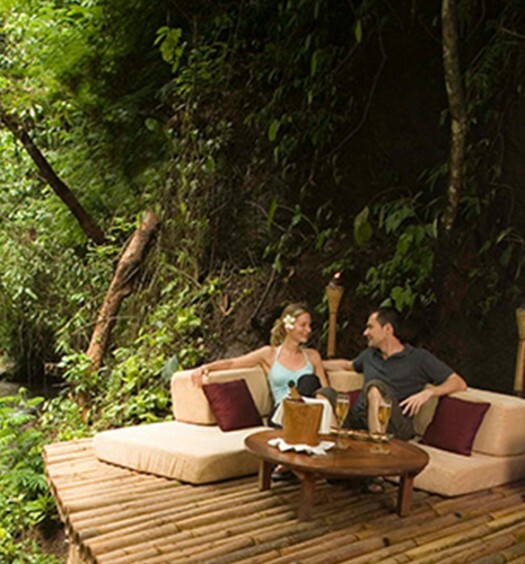 Nestled in Ubud, Jungle Fish is a one-of-a-kind jungle bar that offers you the most lush green views of the rainforest. This is the chance for all you water babies to return to your natural habitat! Guess what, they actually call themselves the “no beach… beach club” – you have the mandatory pool, bar, and lounge decks (which you can get access to for Rp.150,000 or approximately USD 10.50), just not the sand and sea! Well, who needs the beach when you are a forest sprite? 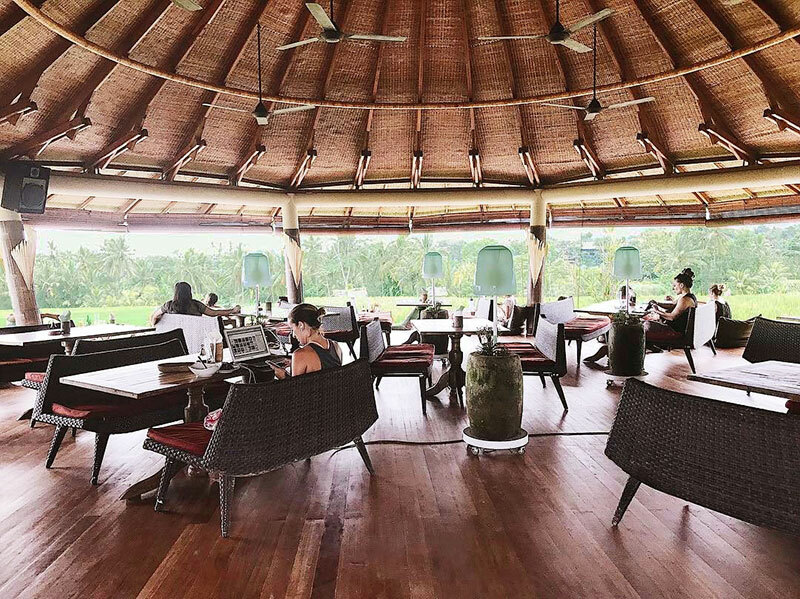 If you are just in a mood for just a meal, head over to the overhead restaurant and get treated to the full view of the pool and the emerald Osh River Valley beyond. The whole atmosphere here takes you out of this world! Who knew raw vegan cuisine was capable of tasting this good? 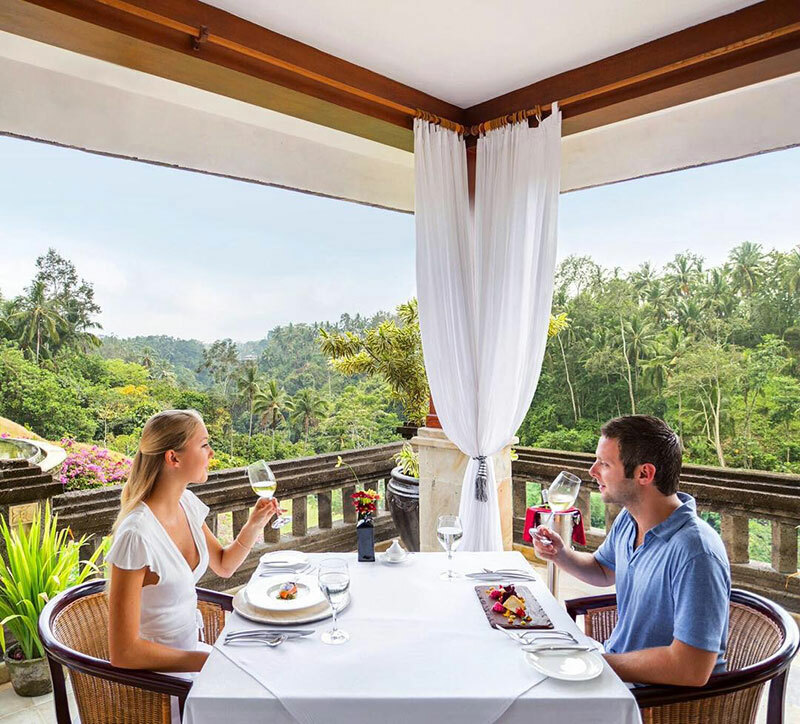 If you didn’t, Fivelements’ award-winning fine-dining restaurant, Sakti Dining Room, is where you’ll go through the pleasurable experience of finding out. 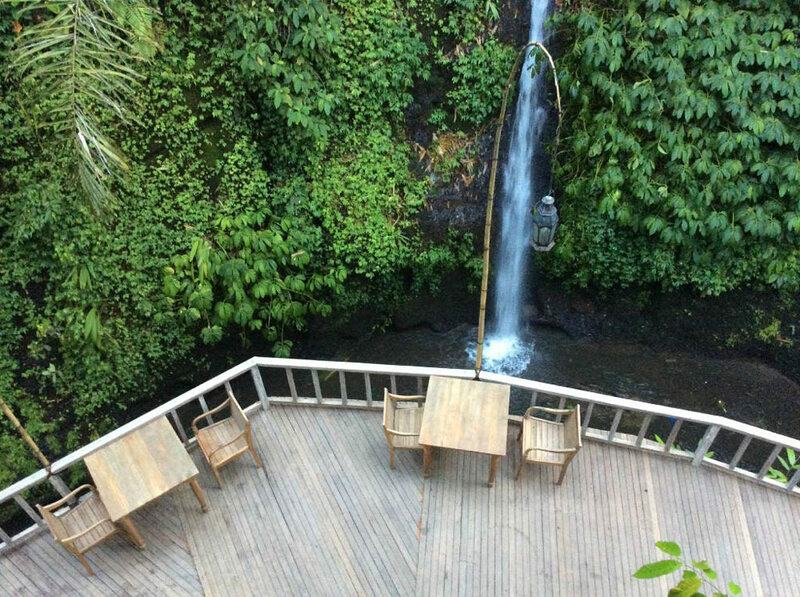 Enjoy a luxurious and atmospheric night under the shelter of a magnificent bamboo building, surrounded by the flowing Ayung River and beautiful tropical gardens. 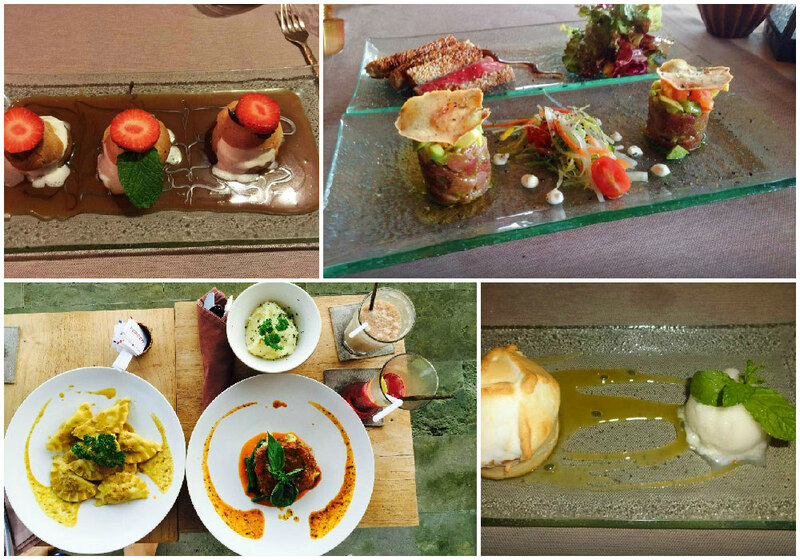 Your experience will be made complete with yummy concoctions from the Chef’s Tasting Menu! You’ll get to choose between a 3, 5 and 7 course meal, but with yummy treats like the Zucchini Tomato Lasagne and Shitake Mushroom Burger waiting for you, you’ll definitely be yearning for more by the time dinner is over. But fret not, because dinner is never truly over until you have dessert! 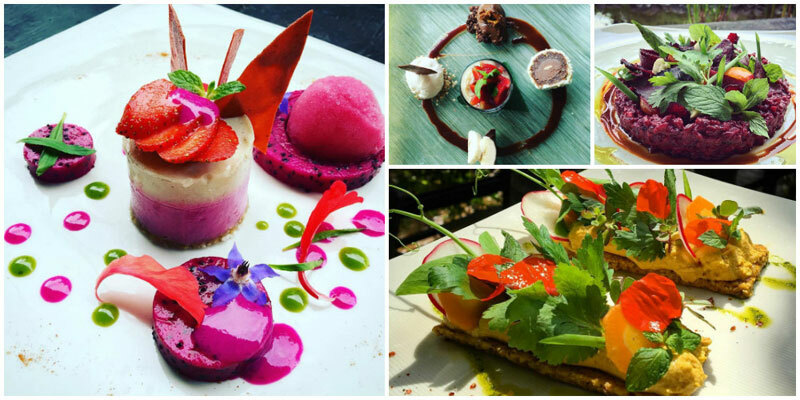 Sakti follows up on its delicious mains with some equally mouth-watering sweets, including raw chocolate and Coconut Lime Cheese Cake. 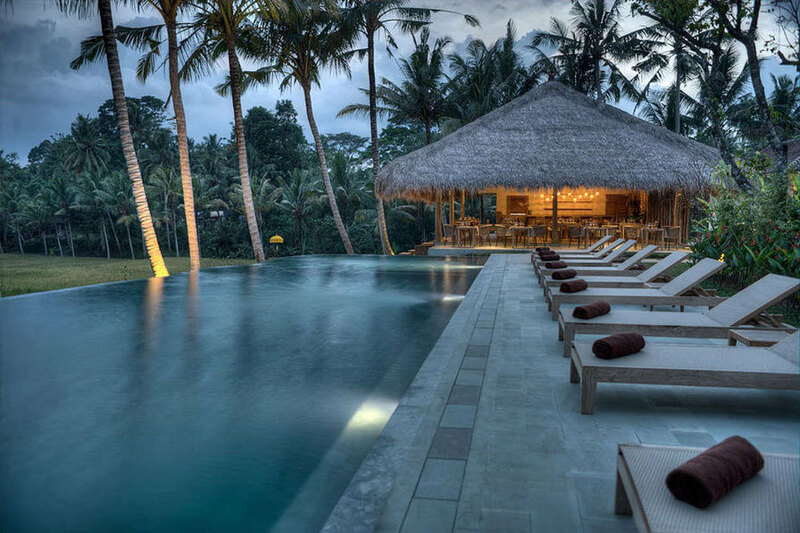 Viceroy Bali is perfectly situated in the Valley of the Kings. 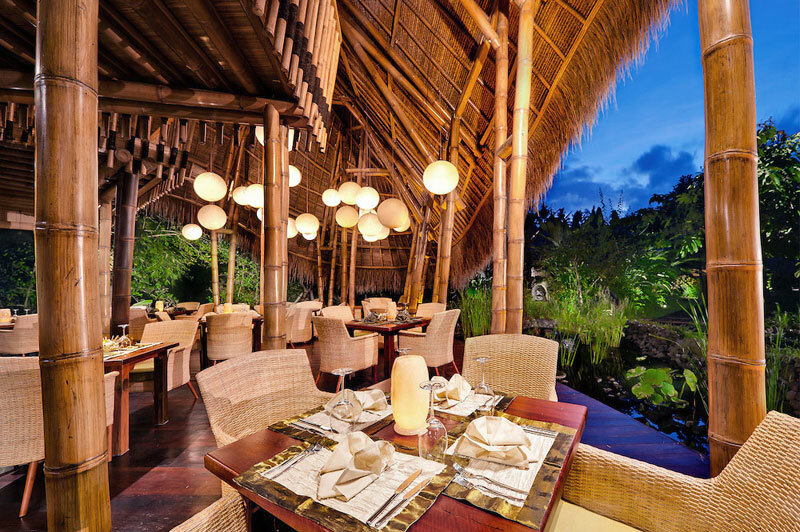 And one of the most gracious jewels in the Viceroy Bali is no doubt its award-winning, and stunning restaurant – CasCades. You can be sure that an experience at CasCades, is just as unforgettable as its views of the stunning Petanu River gorge. 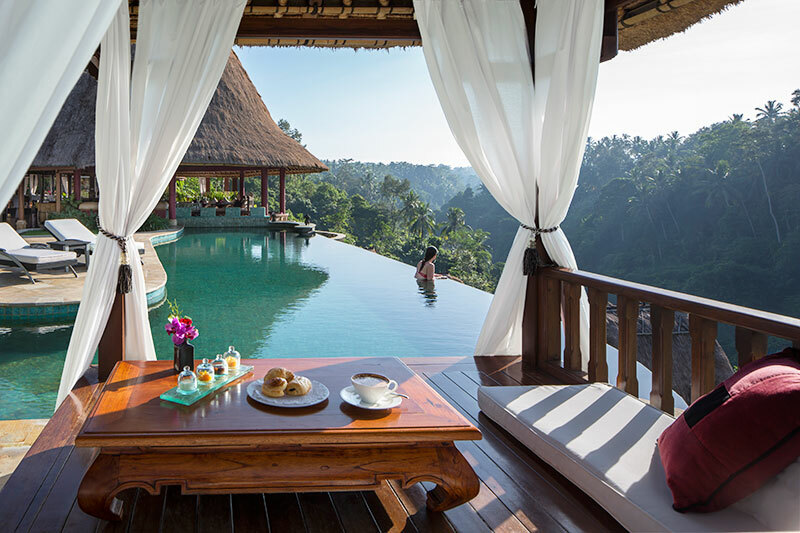 Perched on the valley ridge, overlooking a serene infinity pool and the surrounding jungle. A tropical green oasis of trees and vines for as far as the eye can see. 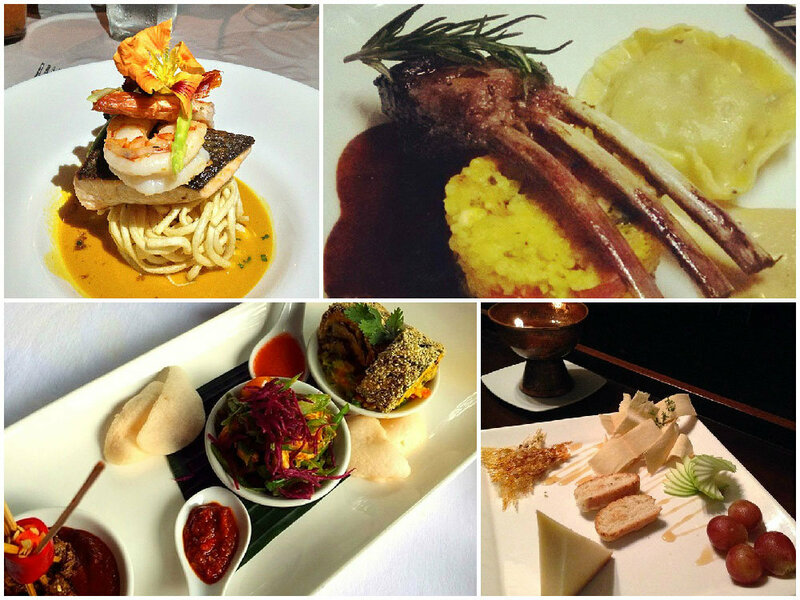 To taste Bali in a whole new way, you have to try the Indonesian Degustation menu. 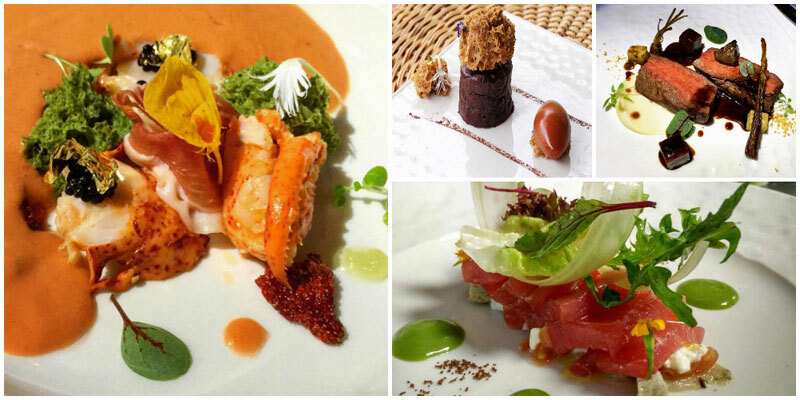 This meticulously crafted 8-course extravaganza features traditional dishes with a modern twist. 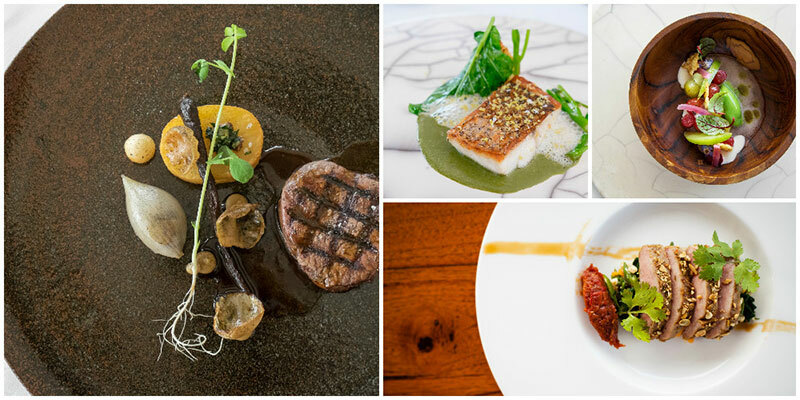 And did you know – Cascades regularly invites top international chefs who present their culinary skills through some amazing degustation menus! ‘Fusion’ even extends to the architecture and décor of CasCades. 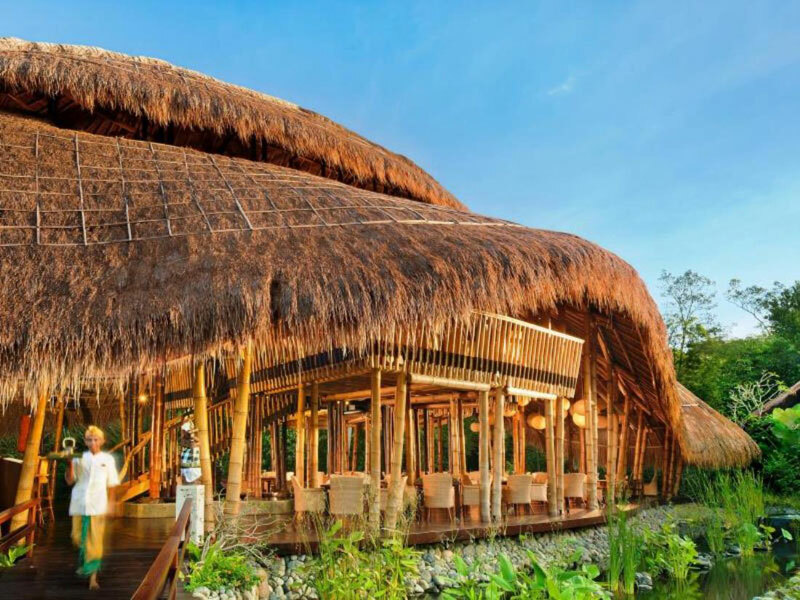 This luxurious open-air restaurant showcases a traditional Balinese thatched roof, and mysterious tropical jungle surroundings – while remaining fresh and contemporary. 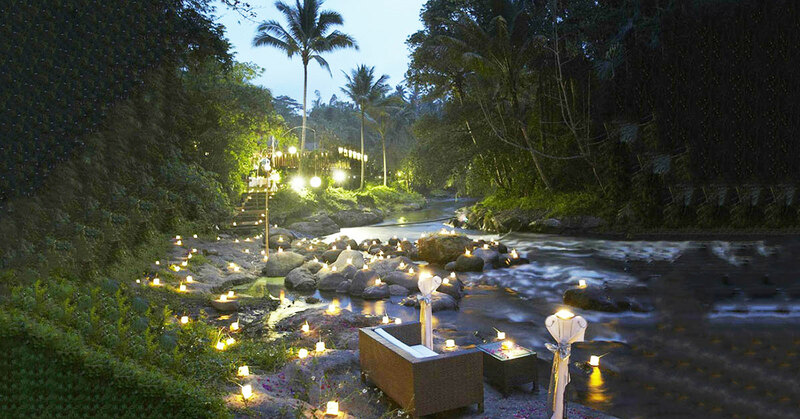 CasCades is a treat for all your senses – don’t miss out and submerge yourself in this truly luxurious experience. Ps: Top off the experience with a toast to your unforgettable night, with an abundant selection of delicious wines available! 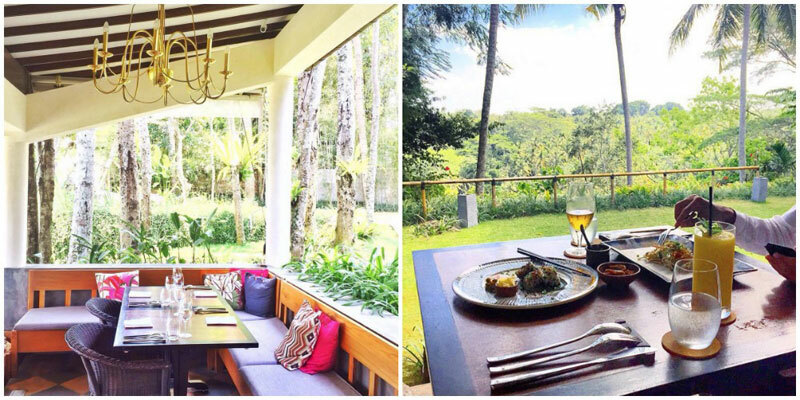 Get away from the bustle of Ubud town and settle yourself in an expanse of emerald rice fields at the beautiful Terracotta Restaurant. 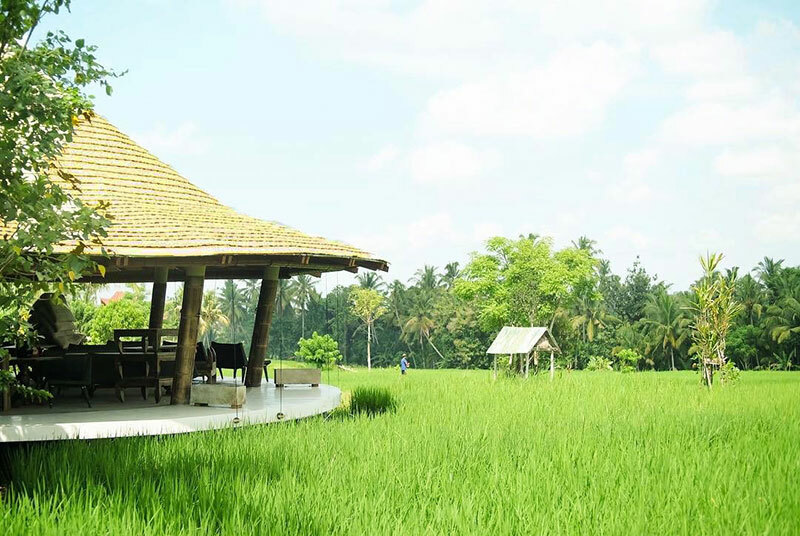 Rice is a crucial Balinese commodity, so being able to see these active paddy fields is an experience in itself. 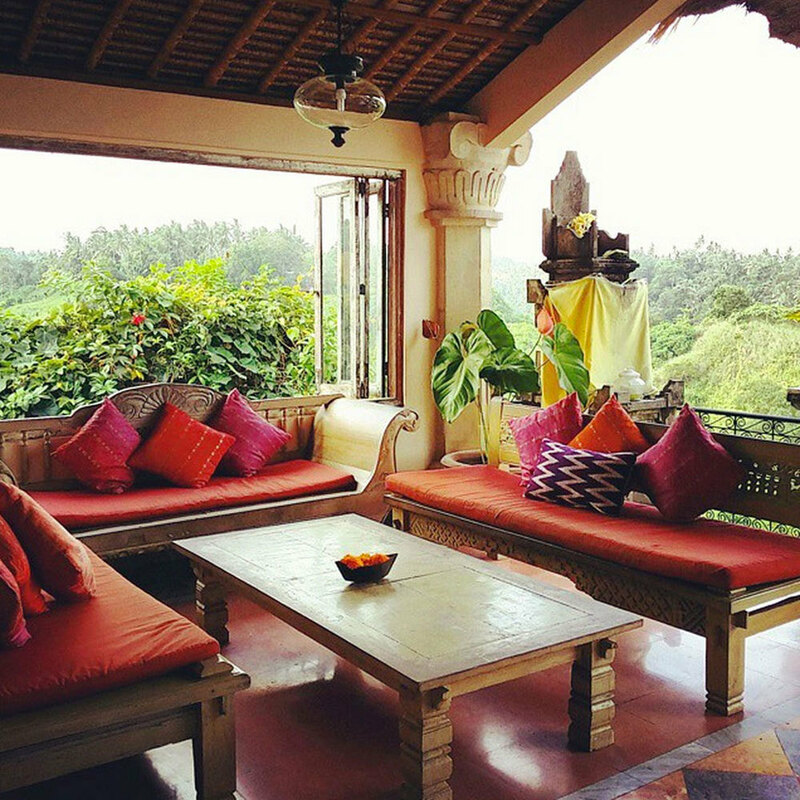 Watch the fields in various stages of growth and harvest yourself a grand view with the majestic Palms fringing the edges. 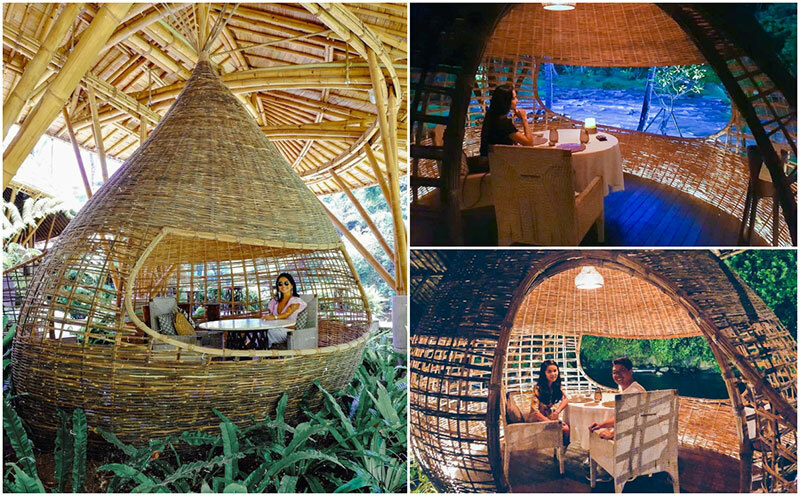 The restaurant is housed in a traditional open sided Bale – with the breeze and sounds of nature drifting across the restaurant adding to the already peaceful environment. 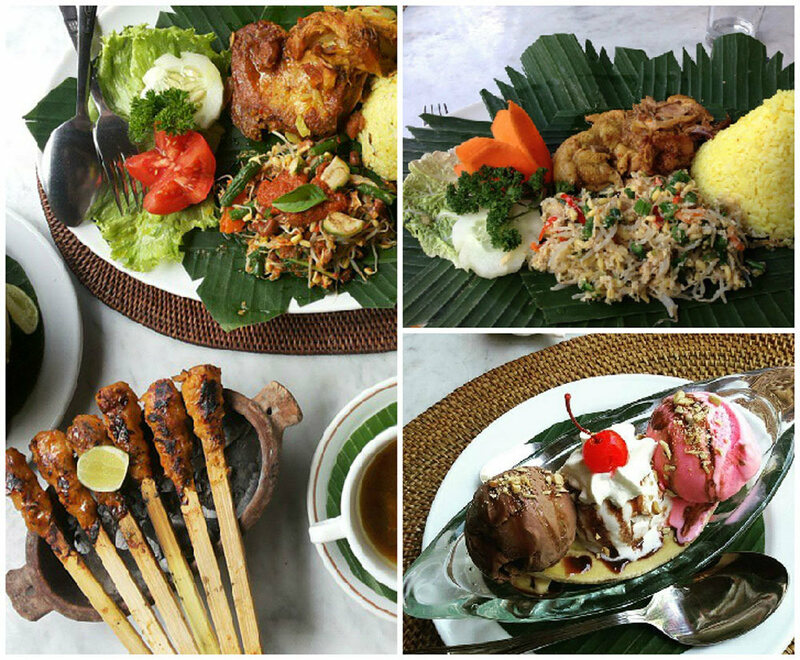 The authentic Indonesian cuisine at Terracotta is all beautifully presented and full of mouth-watering flavours. 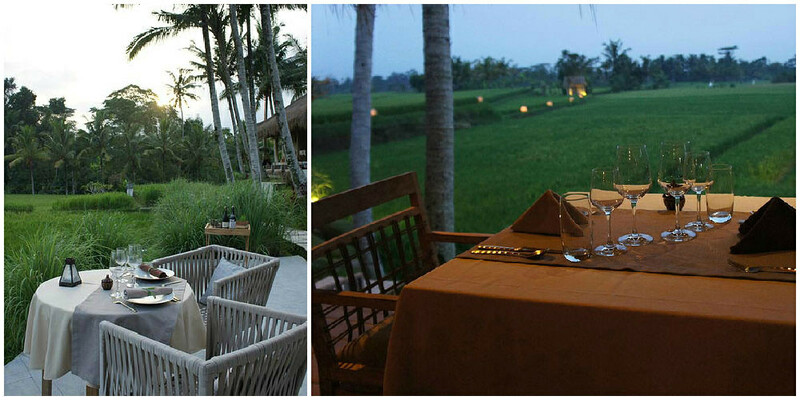 Enjoy a romantic meal on the terrace as the sun sets across the fields, and feel at one with the nature around you. 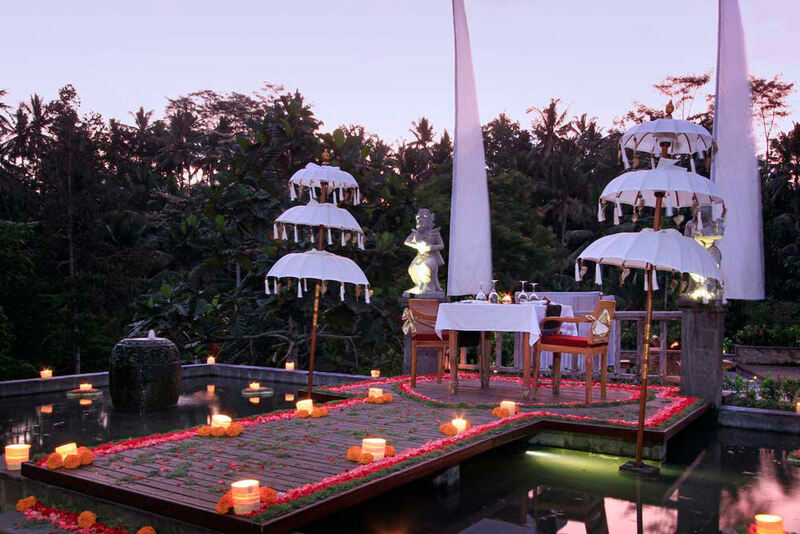 The Romantic Dinner set menu is a perfect way to spend the evening with a loved one. Alternatively, why not try a romantic breakfast? 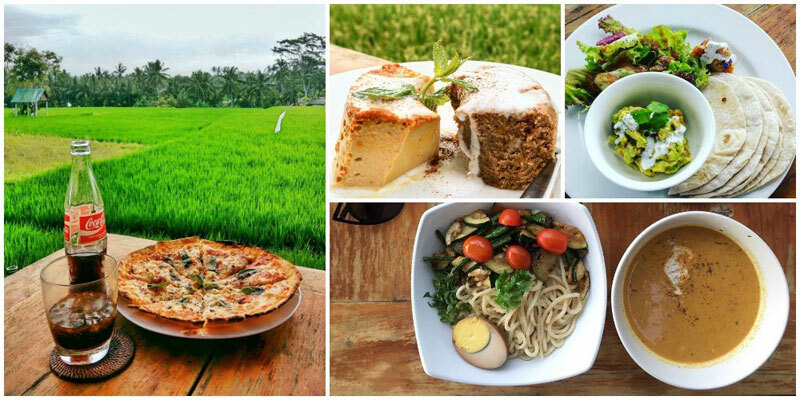 Enjoy freshly prepared food and tropical juices as the sun rises over the fields. 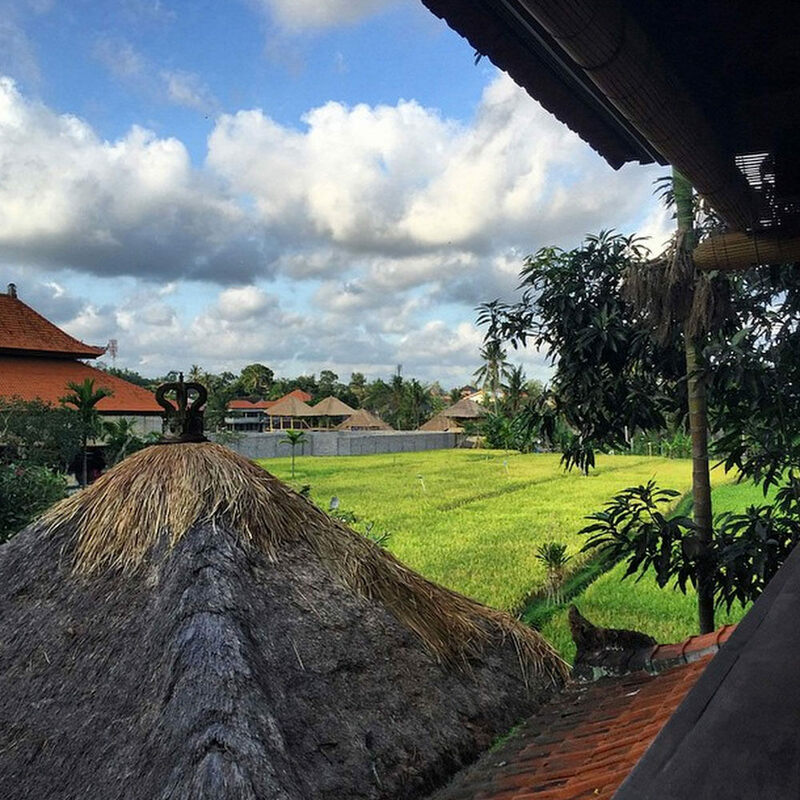 Watch the workers begin their day in the paddy fields and appreciate how hard the Balinese locals work. 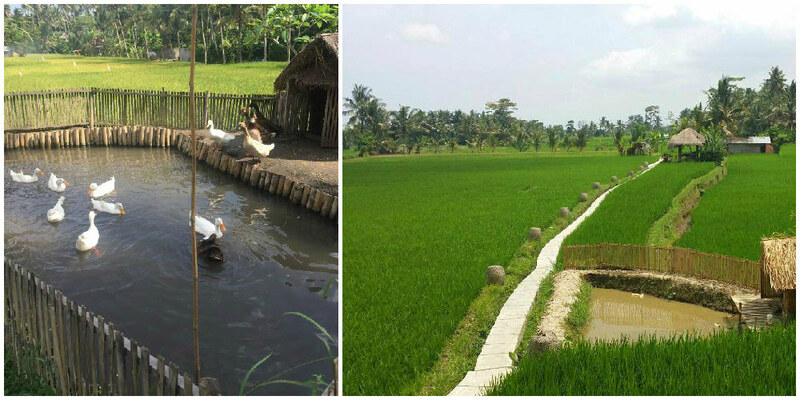 It’s amazing to know that the rice on your plate came from those little rice plants! And for some reason, eating rice whilst surrounded by paddy fields makes it taste extra delicious. 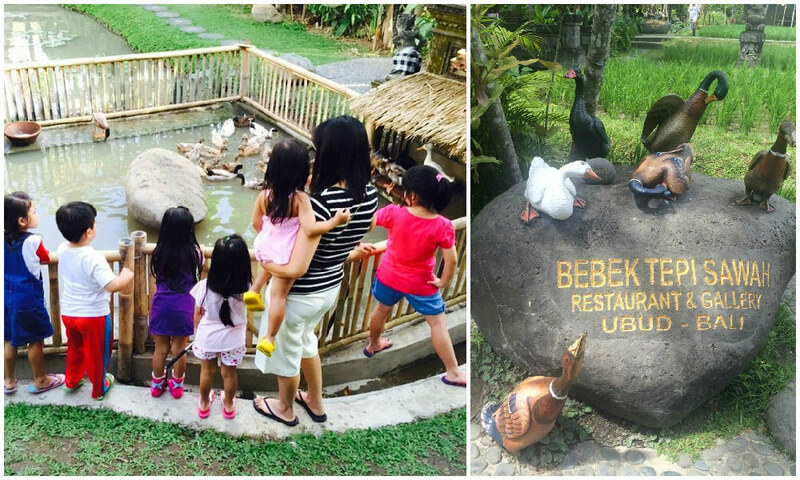 From the second you arrive at the tropical garden entrance, you will realise that this restaurant is all about the Bebek – the duck! The odd duck quack will add to this authentic experience as the ducks splash around their pond and enjoy basking in the sunshine. Once the sun starts to set across the field on a friday evening, the view from this restaurant focuses on the traditional stage. Classical Legong dancers and gamelan musicians will entertain you in the most authentic of Balinese shows. 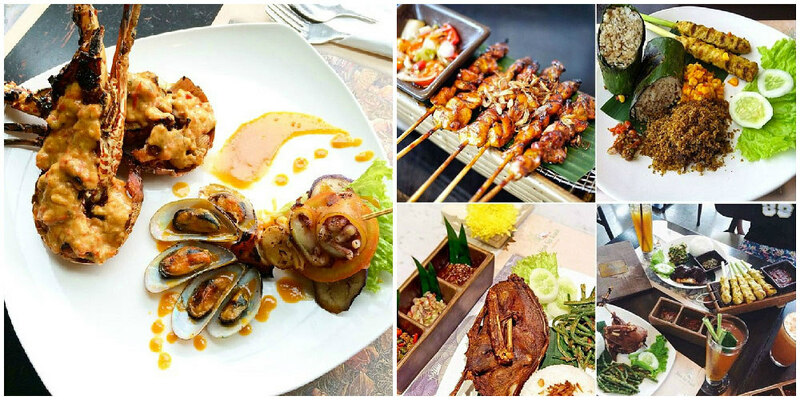 The menu is a mixture of Indonesian, Western, Asian and other International dishes. All freshly prepared, reasonably priced and of course, truly delicious. 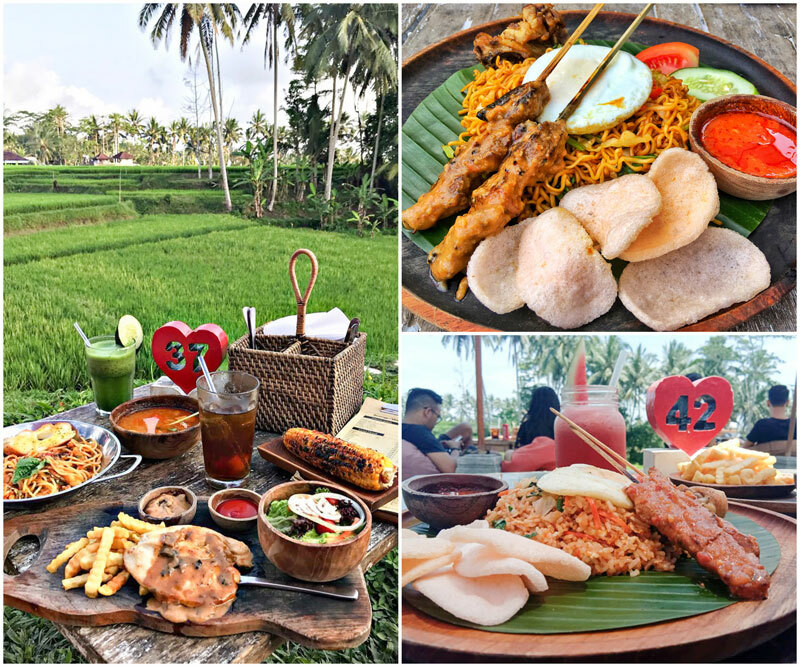 Aside from the view, we think that the star of the show is the amazing range of juices, smoothies and mocktails that Bebek Tepu Sawah offers. Stick to a refreshing virgin colada smoothie or star fruit juice, or even something more adventurous – we dare you to try the soursop juice! 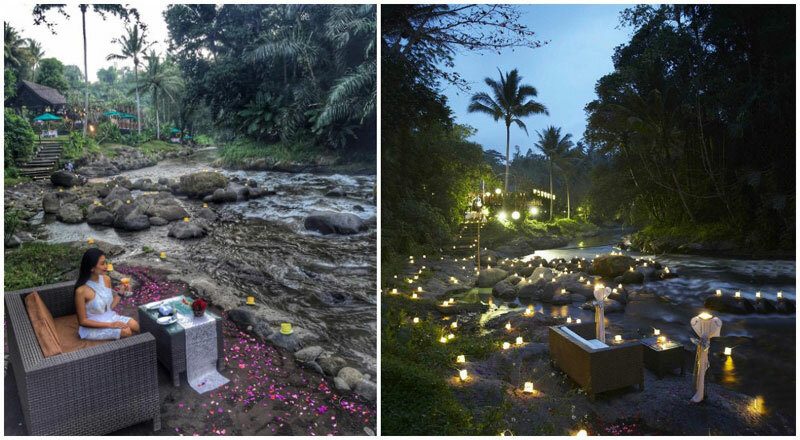 The name says it all; Bridges is situated at the end of the two Campuhan Bridges, nestled in the valley overlooking the River Wos. Gaze out across the valley or enjoy your meal down by the riverside, there are 7 distinctive levels of Bridges for you to choose from. 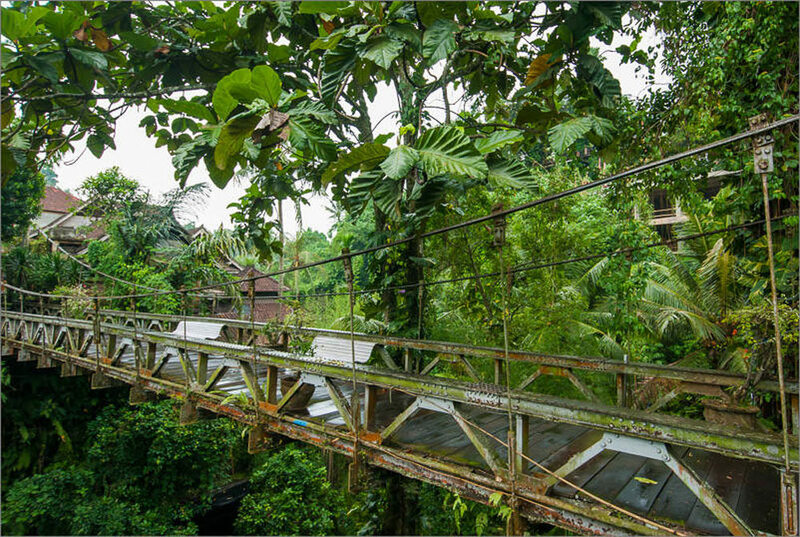 And when you’re settled and relaxed on the terraces surrounded by tranquil greenery, watch as the outside world continues on the bridges above you. 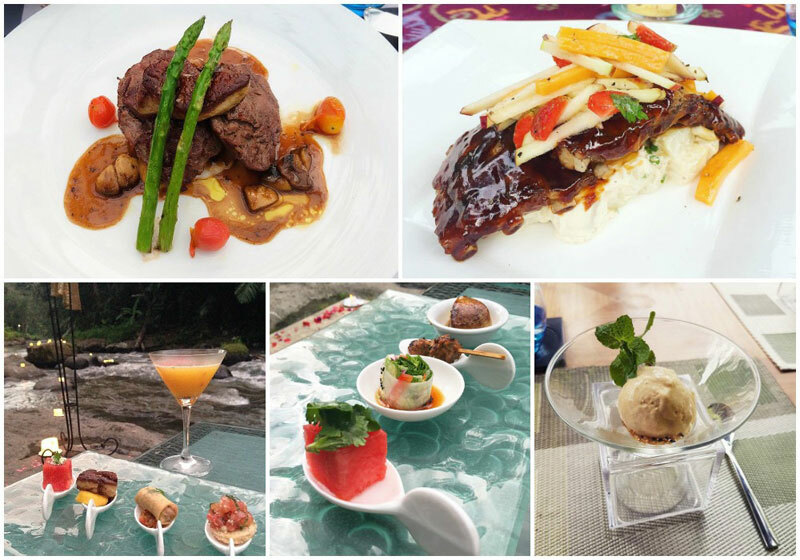 Whether you are stopping for a quick drink, a bite of lunch or a luxurious meal – Bridges caters for everything. We were blown away by the seafood-carrot veloute and it’s hard to believe, but it tastes even better than it looks. Bridges prides itself on its extensive selection of imported wines. Divine hour (everyday 4 to 7pm) is like happy hour – except you can enjoy your favourite tipple in absolute paradise. 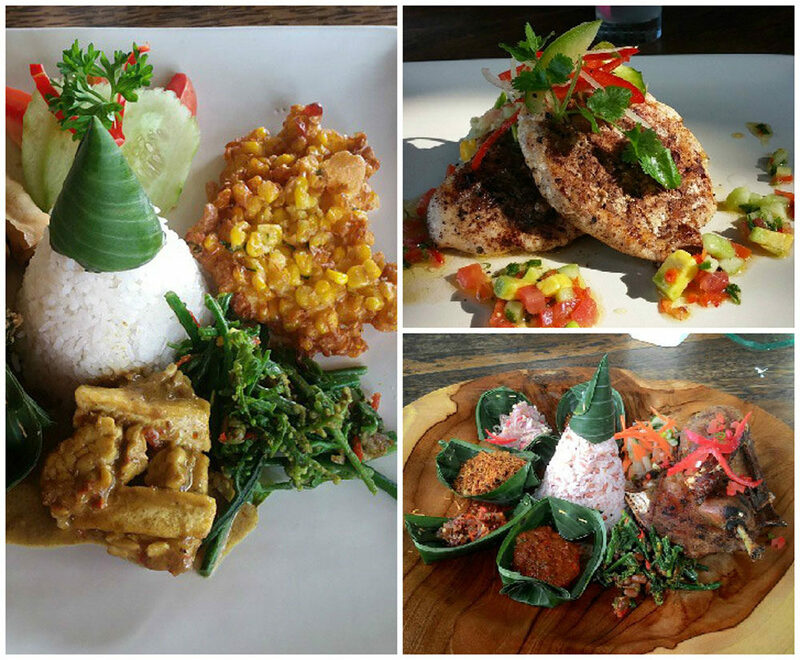 Indonesian cuisine is varied and delicious but you will struggle to find cheese on most menus. If you are missing this dairy treat then you are in luck. Bridges also offers a fantastic range of imported cheese. We think Bridges is the perfect place for a little self-indulgence. Enjoy an evening of wine and cheese in a picturesque valley? Sounds like heaven to us. Better known as the original Dirty Duck Diner – Bebek Bengil has spent 35 years perfecting their Bebek Betutu (crispy roast duck). 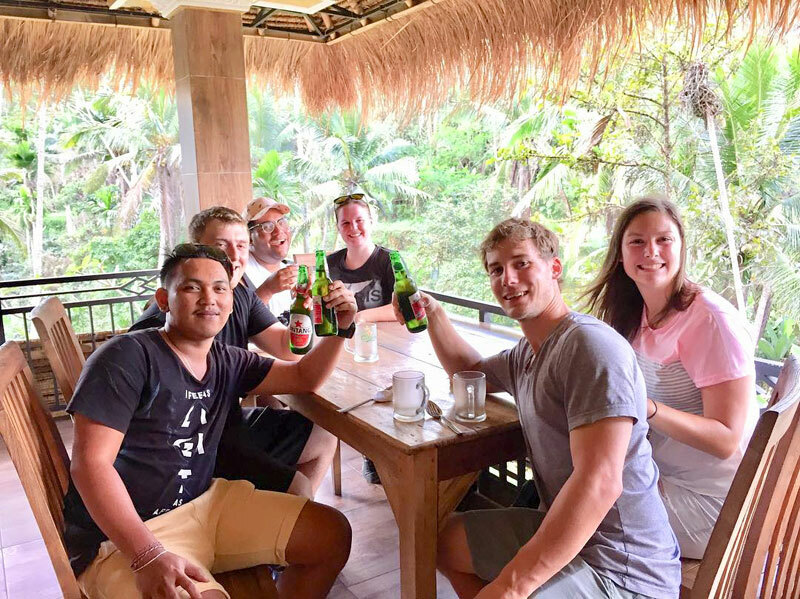 Dirty Duck Diner makes this place sound like a Balinese greasy spoon café – instead you will find a fantastic polished restaurant in a spectacular green setting. 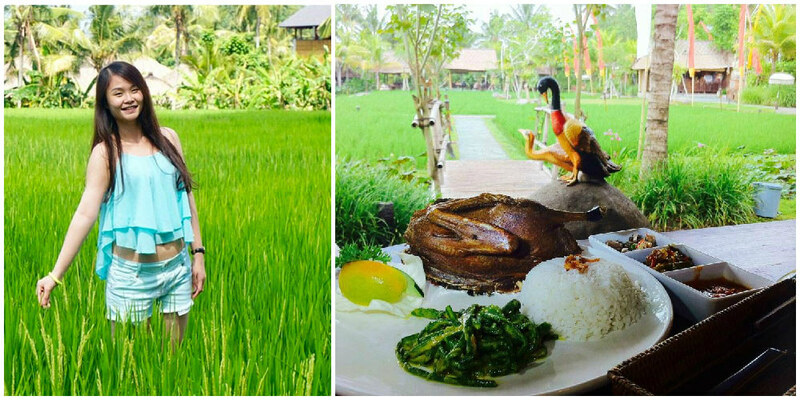 Word has got out about their famous duck dishes and Bebek Bengil now has branches in Jakarta, Tangerang, Nusa Dua and Jimbaran. 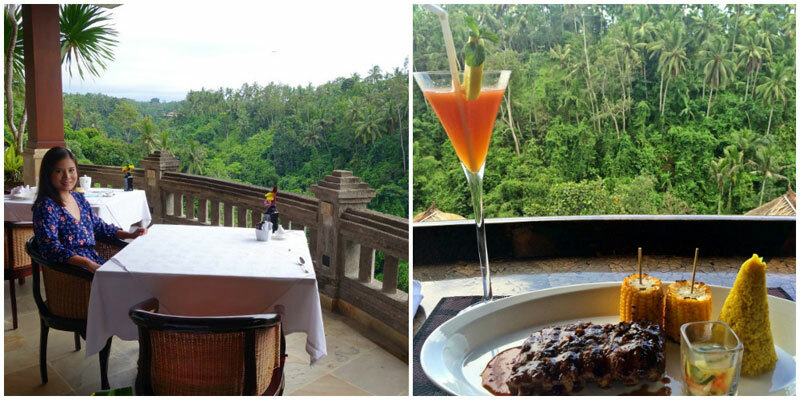 We still love the original Bebek Bengil in Ubud though, simply because the views are incredible. 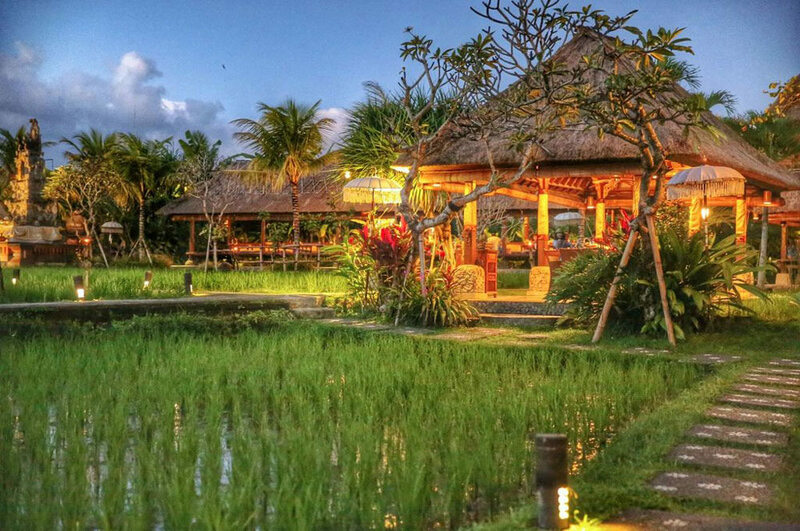 Lush paddy fields surround the whole restaurant, and it will be your mission for the evening to take the perfect photo. Private dining bales are dotted around the beautifully tended restaurant gardens. And the gentle trickle of running water from the water fountains and koi ponds will provide soothing music to accompany your meal. If you are planning a visit, make sure to order the Bebek Betutu the day before, to ensure that you aren’t disappointed. This dish is the highlight of the restaurant and you would be crazy to miss it! 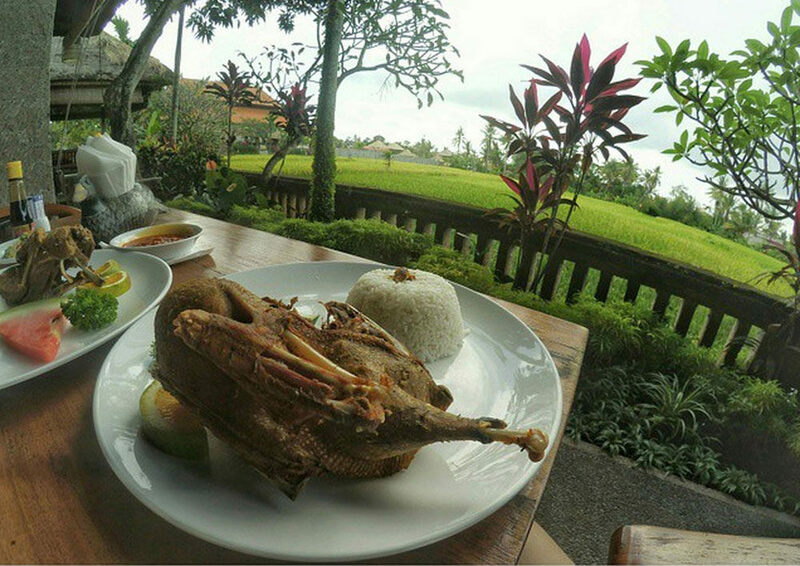 Duck is not the only dish though, so don’t be put off if bebek isn’t your favourite. You can also get some great local dishes and even sample more obscure fare – snails anyone? 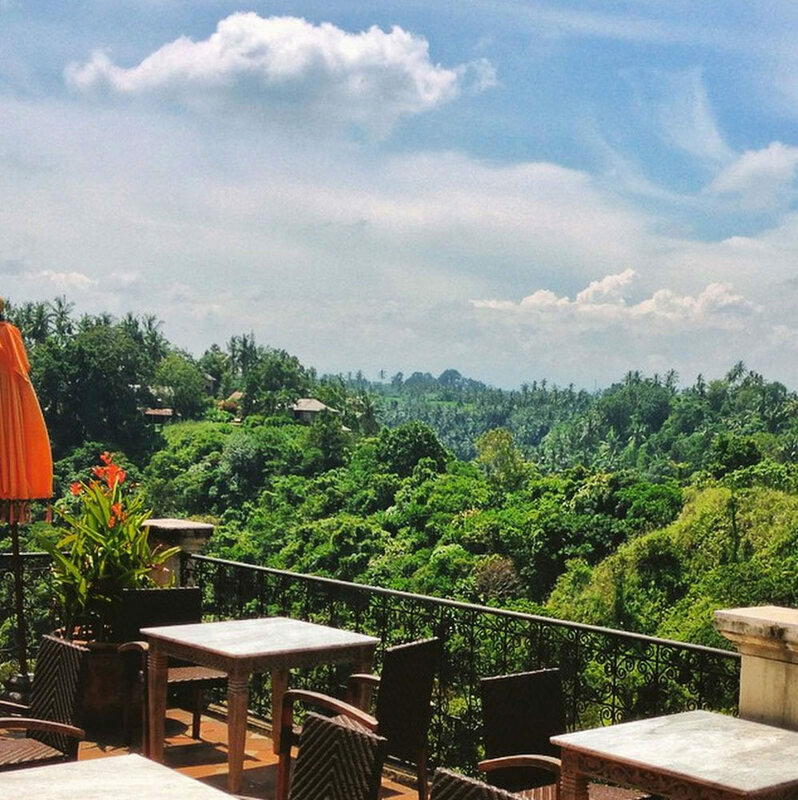 Eating at Kampung Café will make you feel like you are on top of the world. 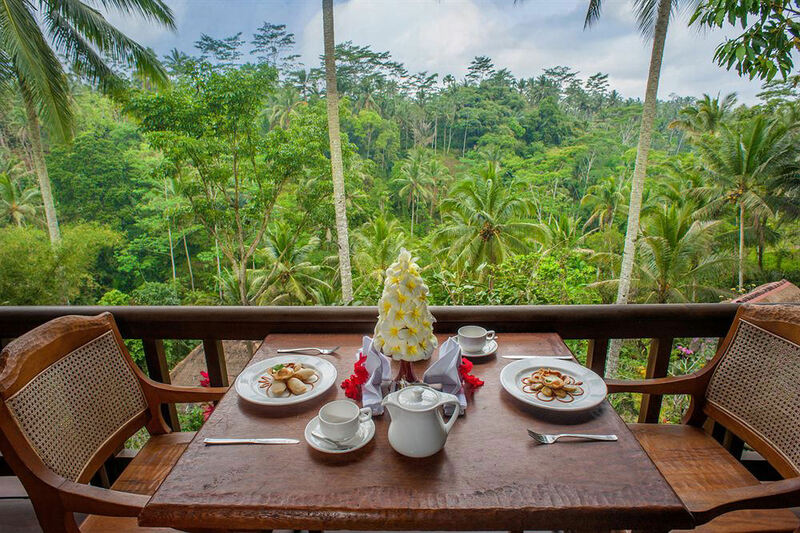 The multi-level raised restaurant affords a spectacular view over the treetops, across the planted rice hillside and amazing gardens. 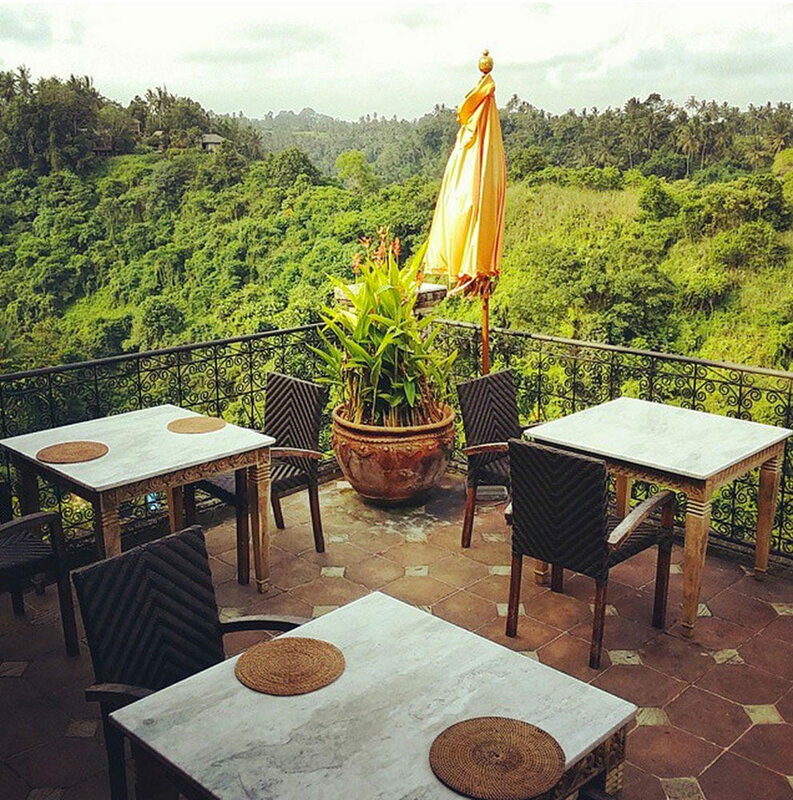 You can see it all from up here, the Sapat River Valley, and acres of beautifully landscaped private gardens. 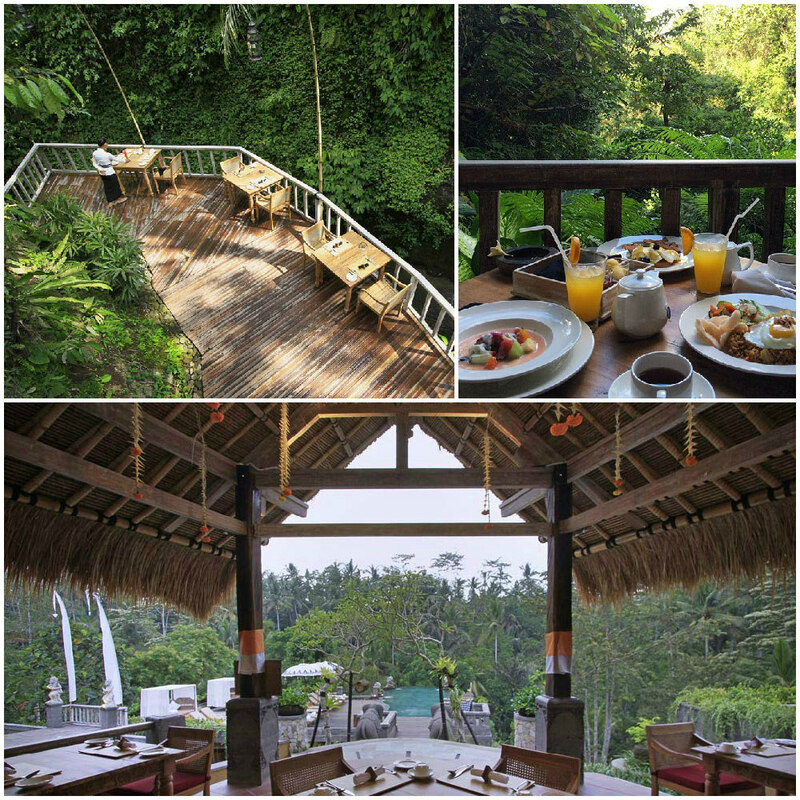 Kampung Café is part of the Kampung Villas Resort – a private sanctuary of peace and beauty. Owned by a trained Japanese Chef and master woodcarver, his fondness for beautiful wood is obvious. The Japanese influence can also be seen in the menu – the Tuna Tataki and rice paper rolls are to die for. 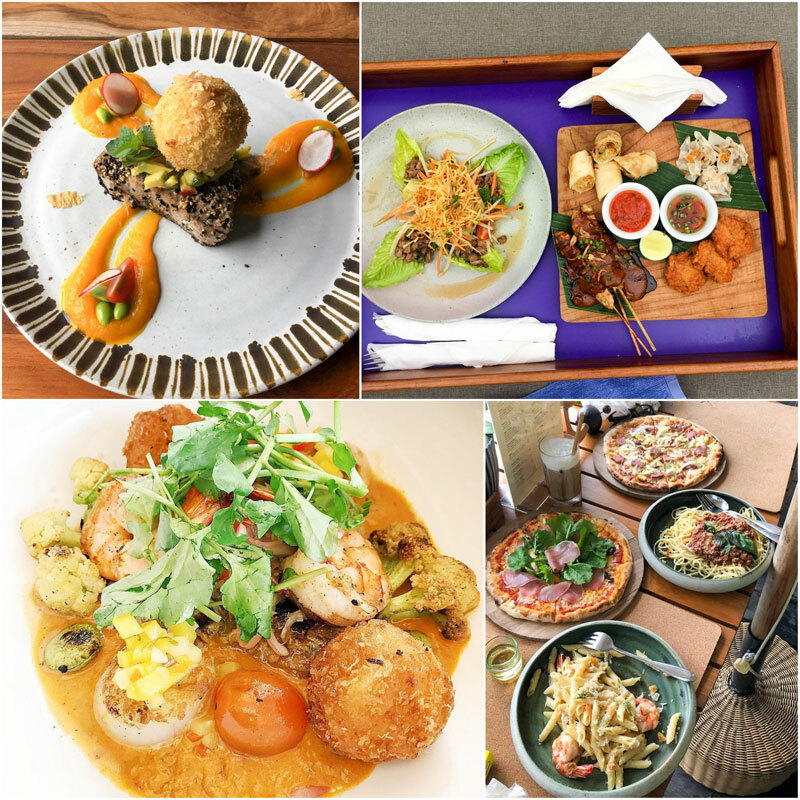 There is something for everyone on the Kampung Menu, authentic Indonesian, a touch of Mexican and even some European classics. 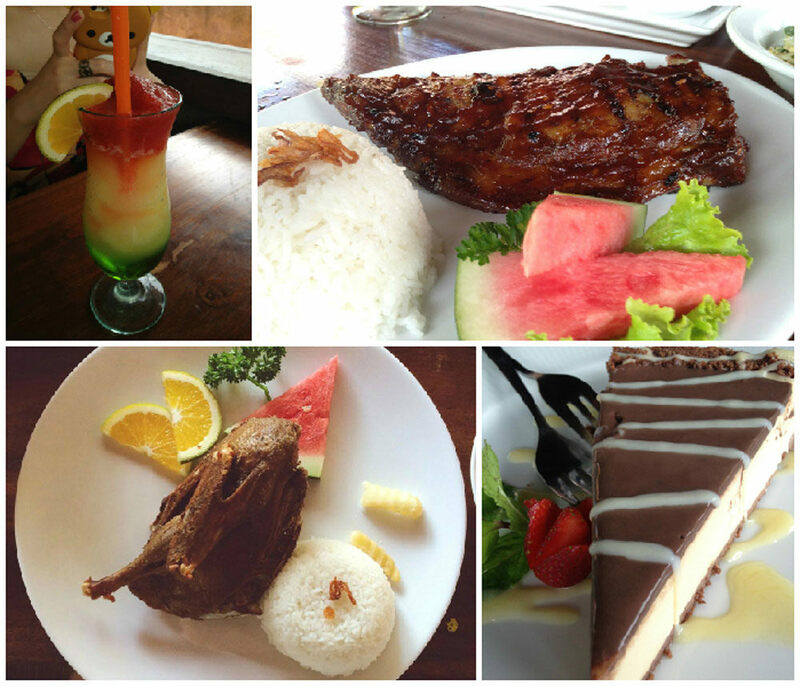 The Kampung Café prides itself on great affordable food served with a smile. 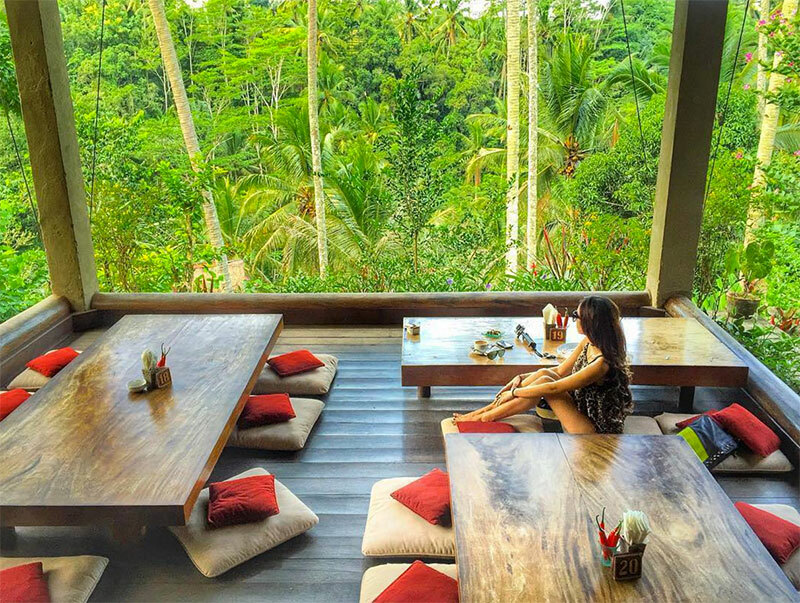 With a restaurant so clean and simple, all you need to focus on are the amazing views. 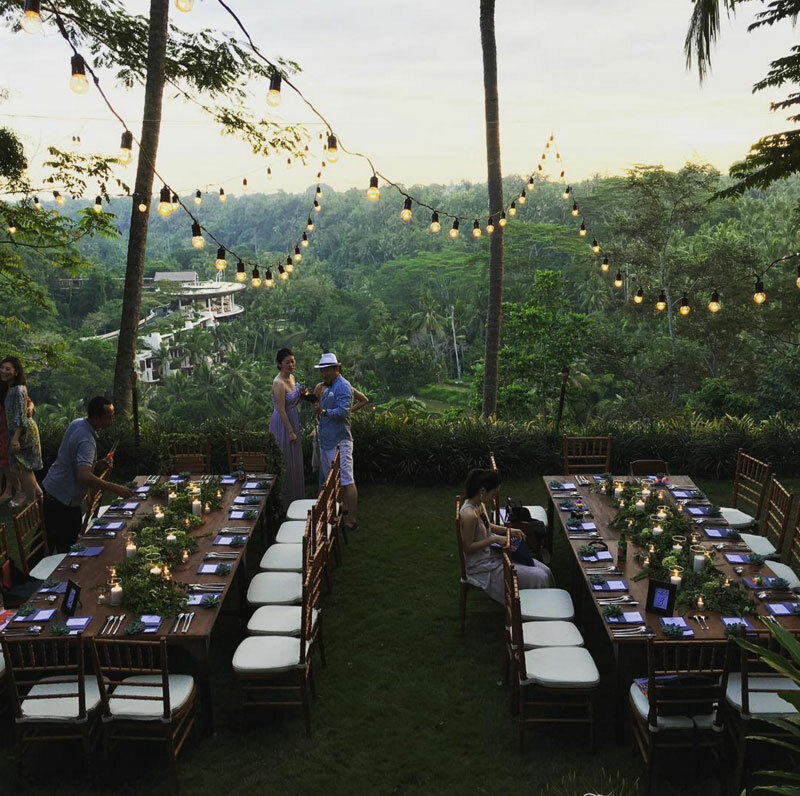 The sympathetic and authentically Balinese villas in the resort will also make it feel like you are dining above a real Balinese village. 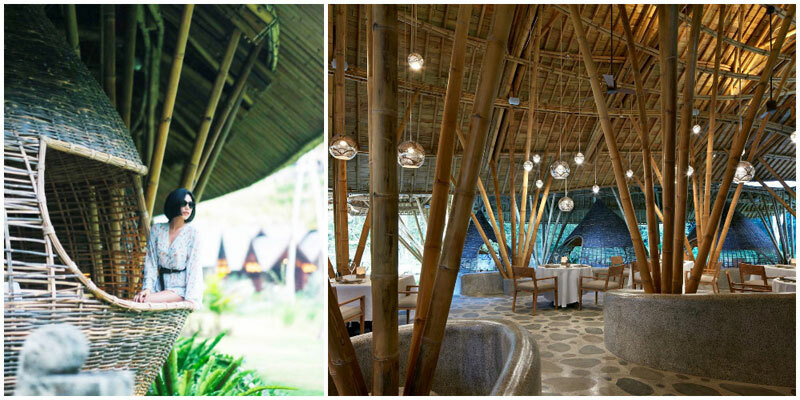 Exquisite Japanese in a traditional Balinese setting? It’s one crazy combination that surprisingly enough, works perfectly together! 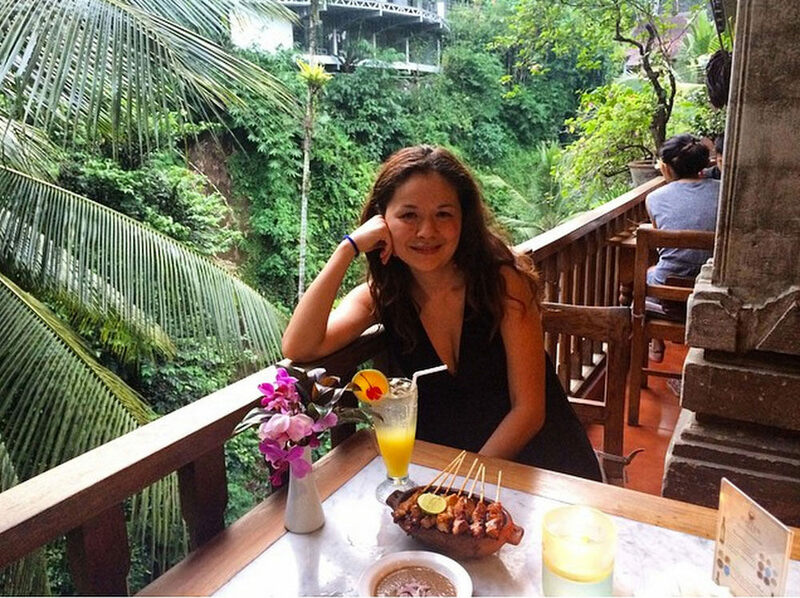 Everyone in Ubud knows Murni’s – ask any taxi driver and they will take you to her fantastic hillside restaurant. 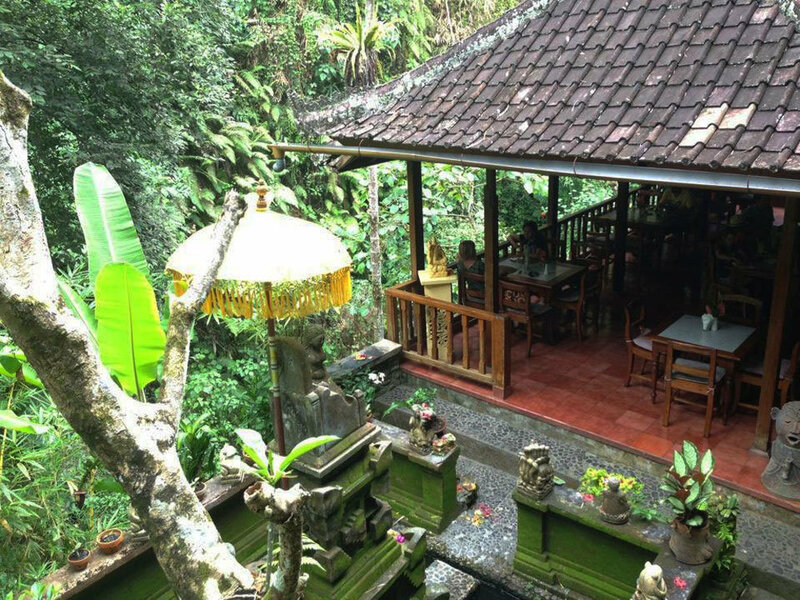 Murni’s Warung is iconic; it’s almost as well known and popular as Ubud itself. Murni opened her little Warung with just 1 table, 2 chairs and an icebox in 1975, and her devoted and ever growing number of satisfied customers has been increasing ever since. The restaurant now sprawls over four levels down the side of a steep valley – land that used to be farmed by Murni’s father. 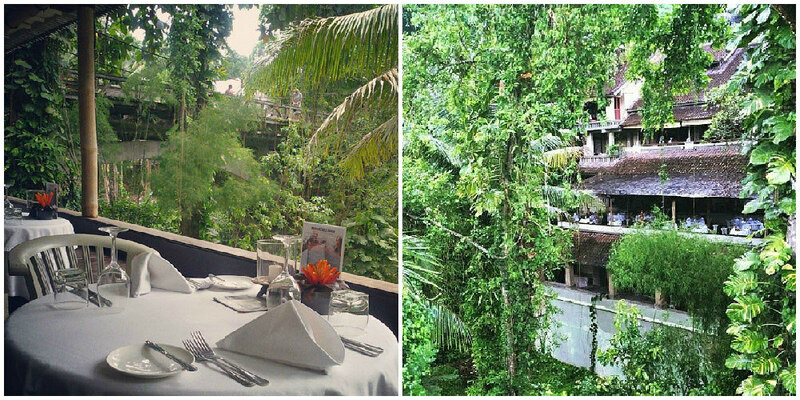 Murni’s Warung by the roadside on level 1, and immediately look out onto the luscious hillside greenery. If you want to be by the river, then descend down to level 4 and find a table on the terrace. The lazy river snakes past below you, and in front of you is a sprawling wall of foliage. The only reminder of modern day life is the bridge above you; which makes the valley haven look and feel even more precious. Murni’s serves a wide variety of homemade dishes with plenty of external influences from travellers that Murni has met over the years. 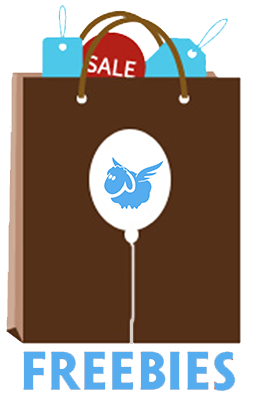 Daily specials ensure that you never get bored of the menu – no matter how many times you go back! The best thing? You can order as many desserts as you want and be guilt-free as a good workout is available via the steep stairs down to the river. 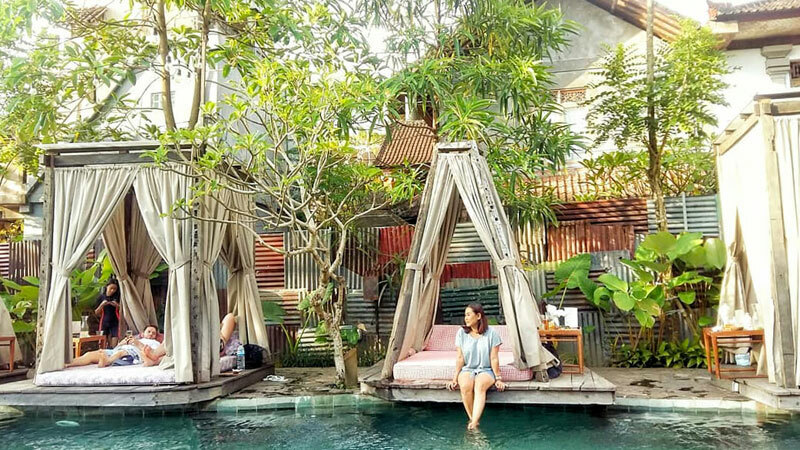 If you love Murni’s Warung, make sure to check out her guesthouse and craft shop for a truly authentic Balinese experience. 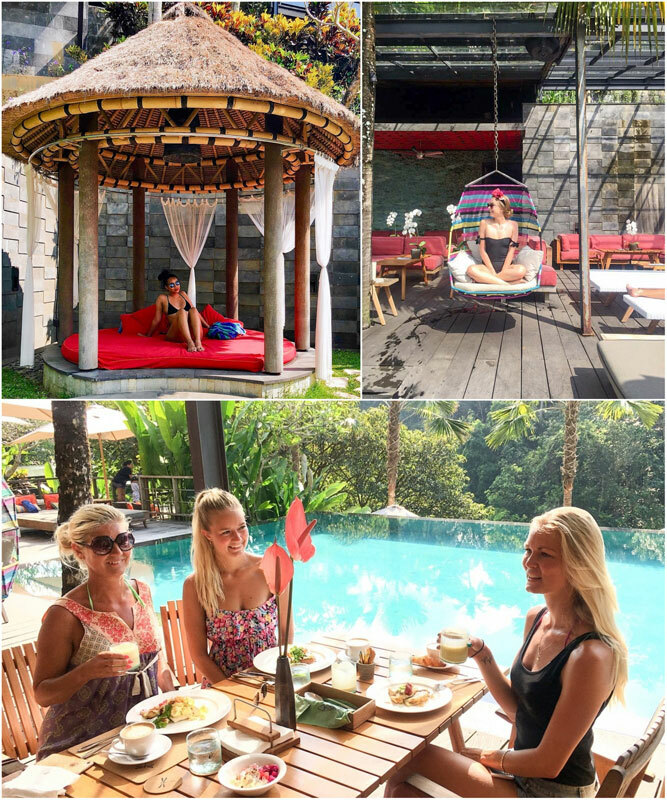 We love Ubud and we definitely love Murni’s! 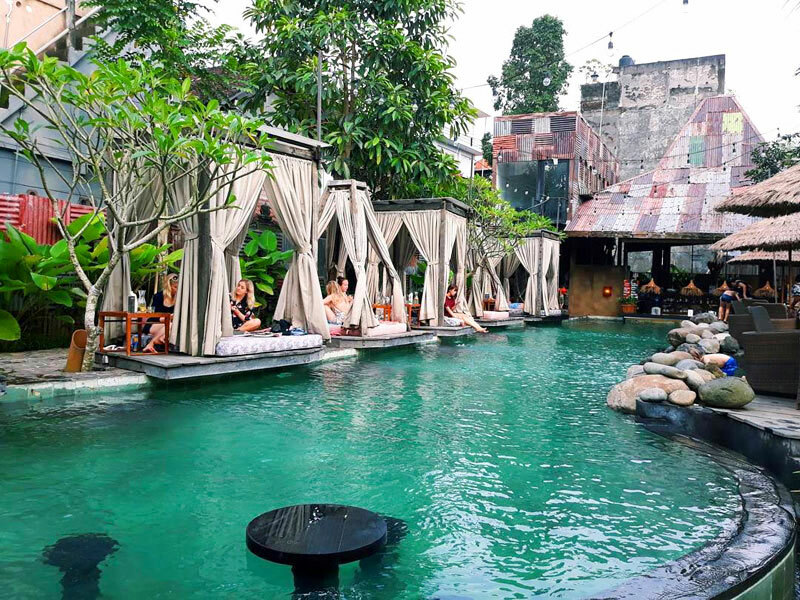 Are there any great Ubud restaurants we have missed? Comment below to let us know!